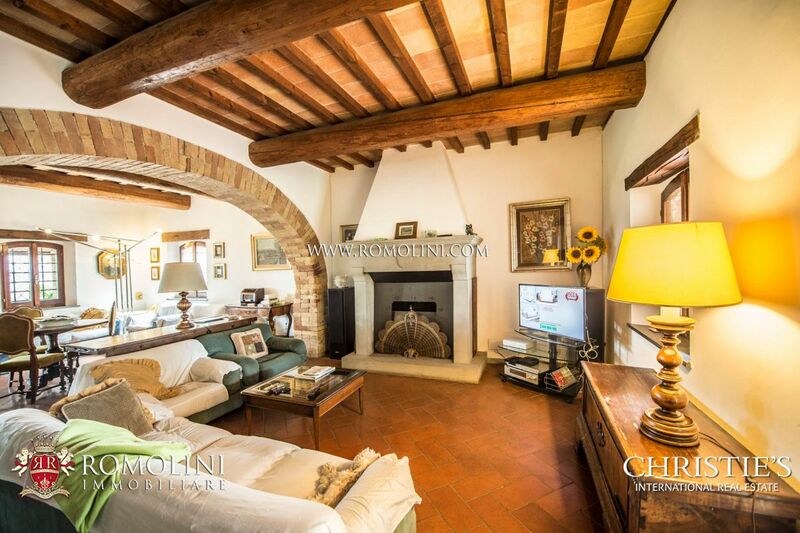 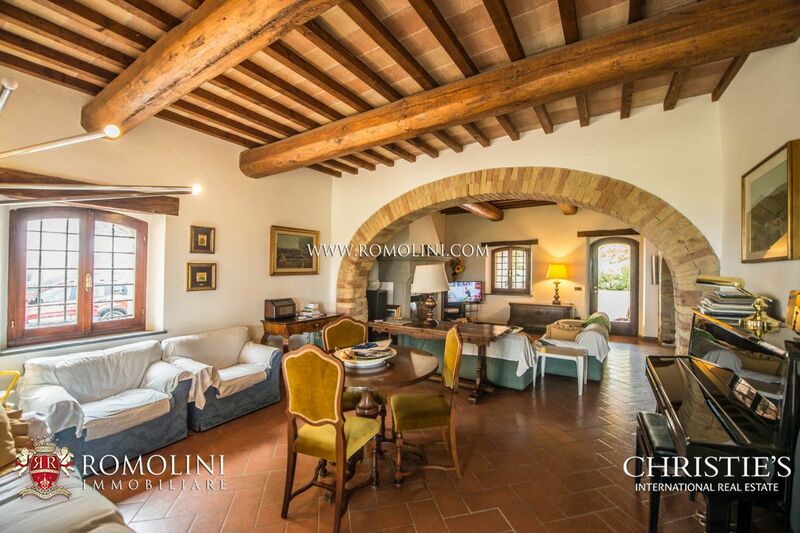 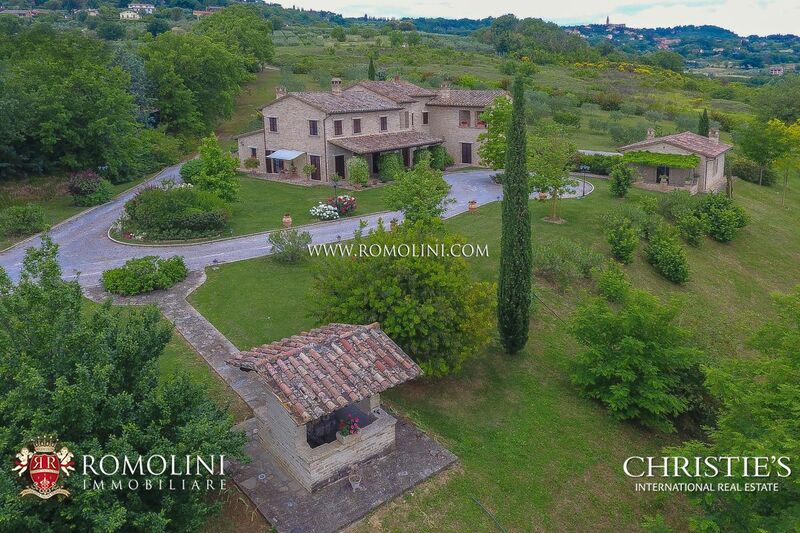 A few kilometres from Perugia, in a wonderful hilly position, an old stone completely restored country house currently running as holiday rental accommodation being at the same time also a private home. 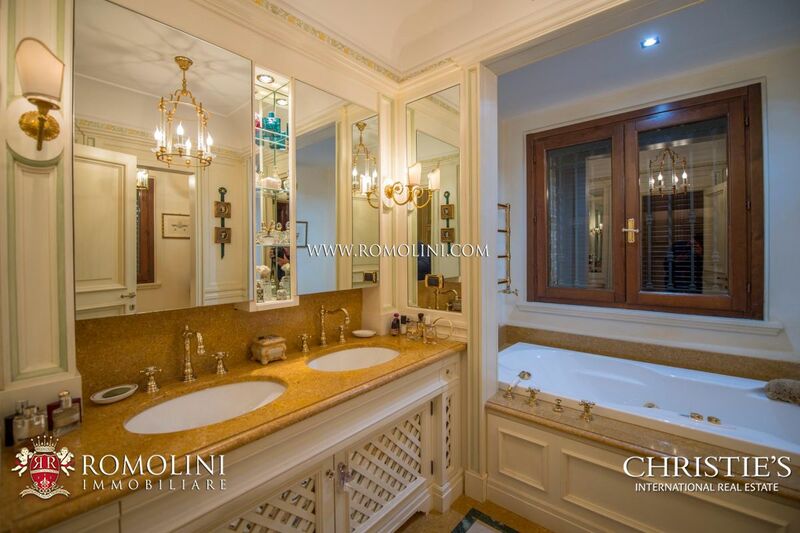 Already divided into seven apartments of various sizes plus three independent bedrooms with bathroom. 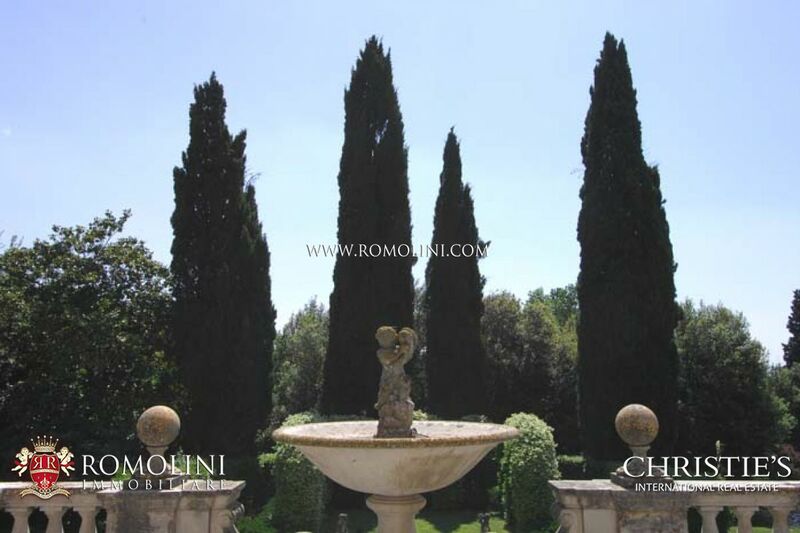 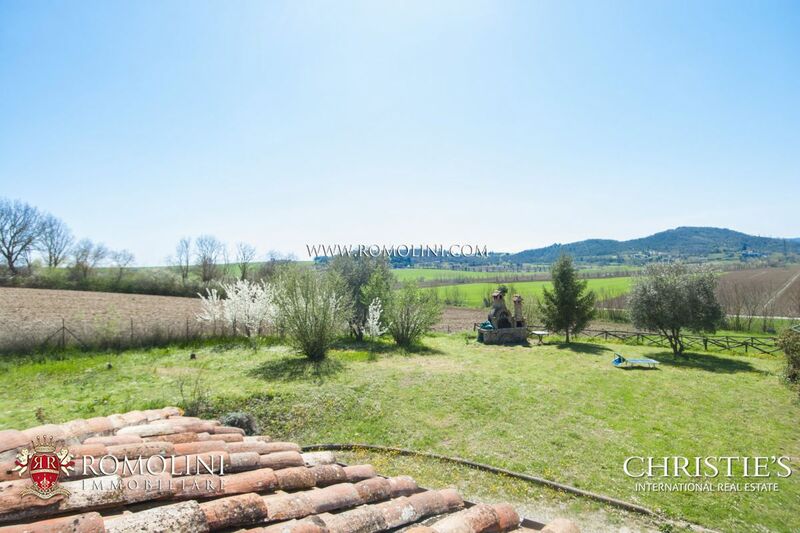 The property is completed by two hectares of land with garden, pool with solarium and a large covered patio of 200 square metres ideal for parties during warm seasons. 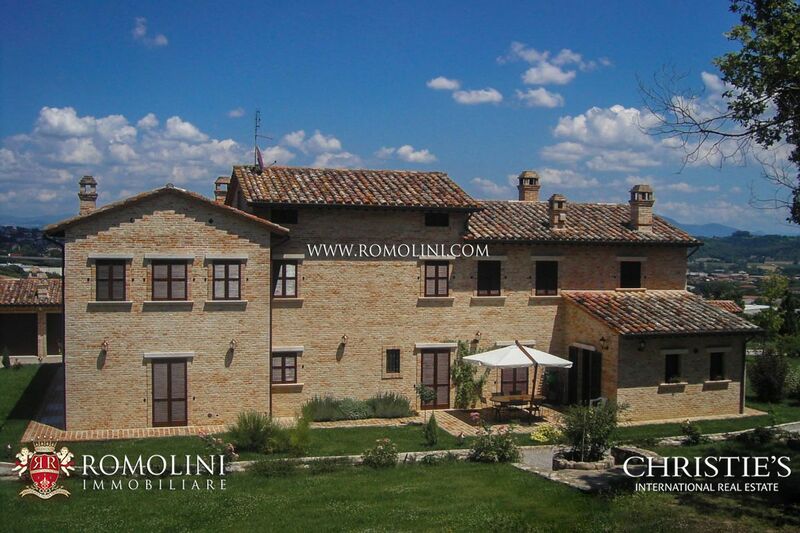 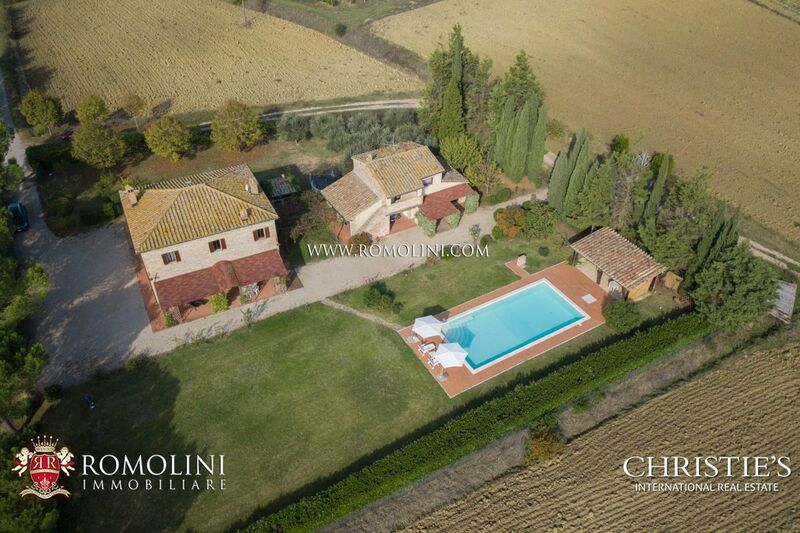 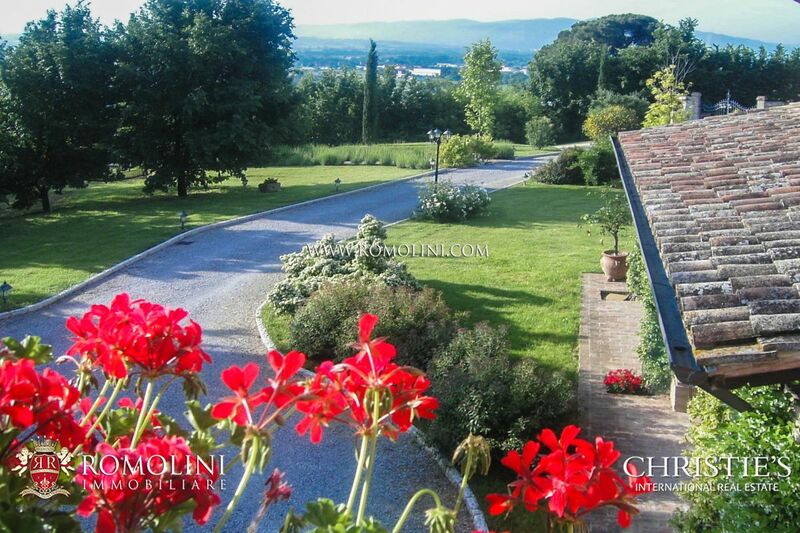 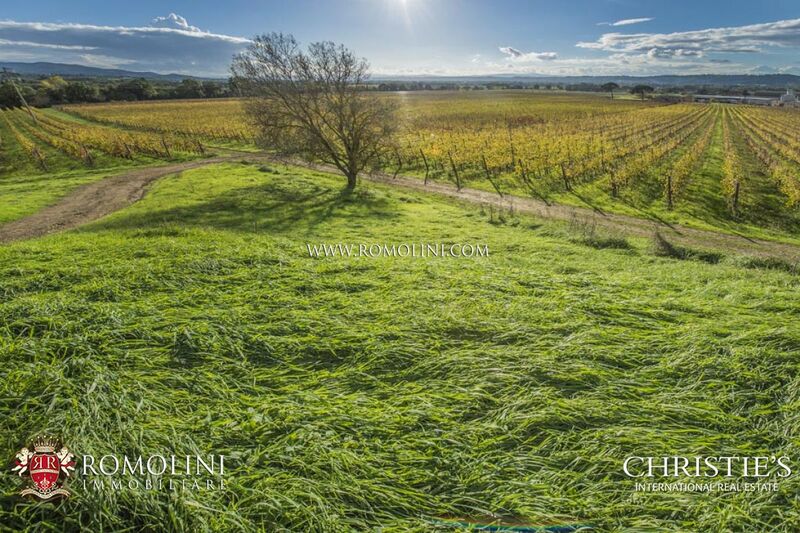 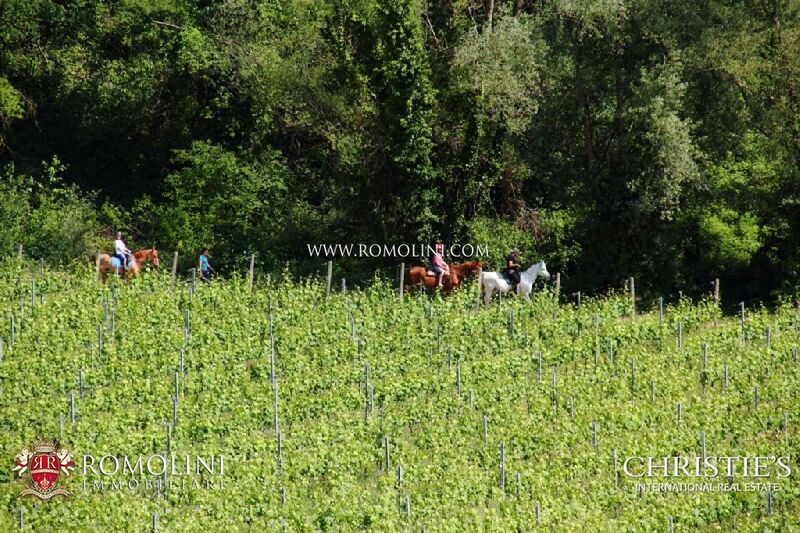 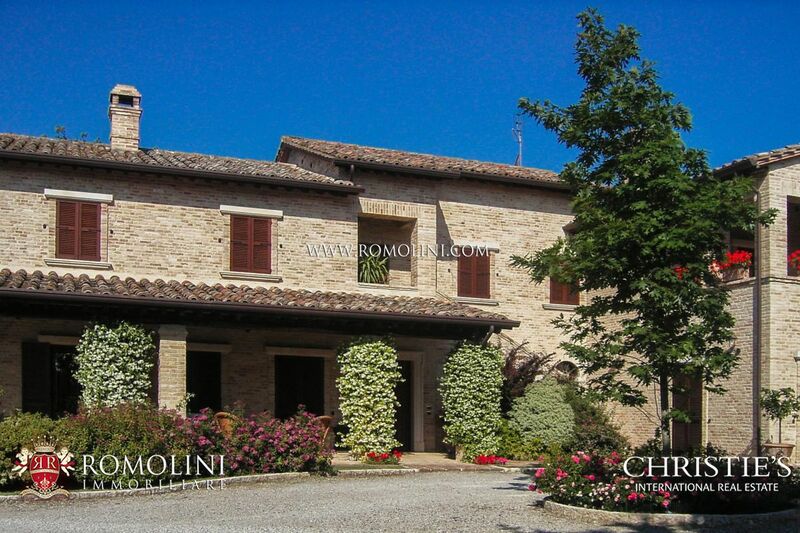 On the hills of Umbria, a short distance from town providing all the services, these farmhouses offer approx. 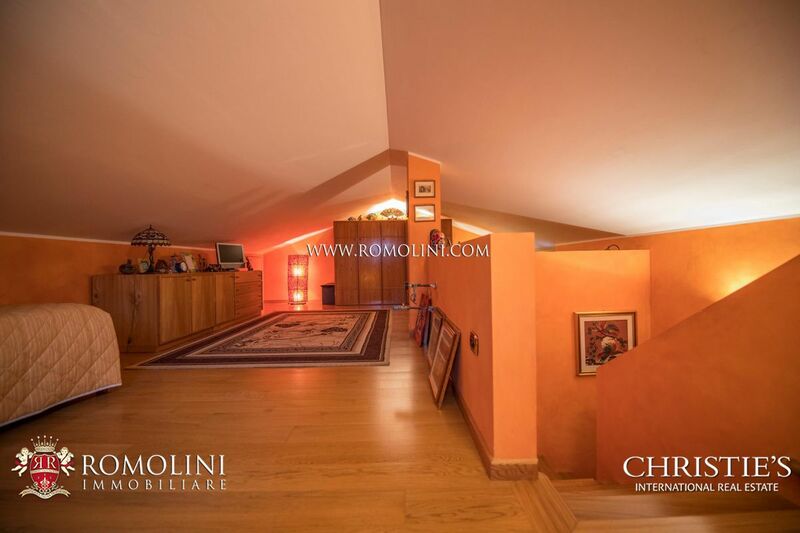 410 sqm of gross surface and a total of 5 bedrooms. 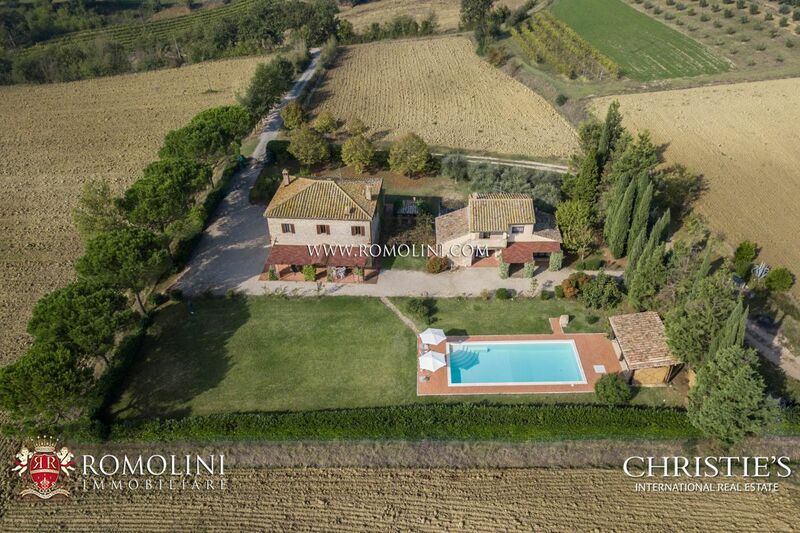 Around the farmhouse, a 4,000-sqm garden hosts a wooden pergola and a 13 x 6,5 m swimming pool. 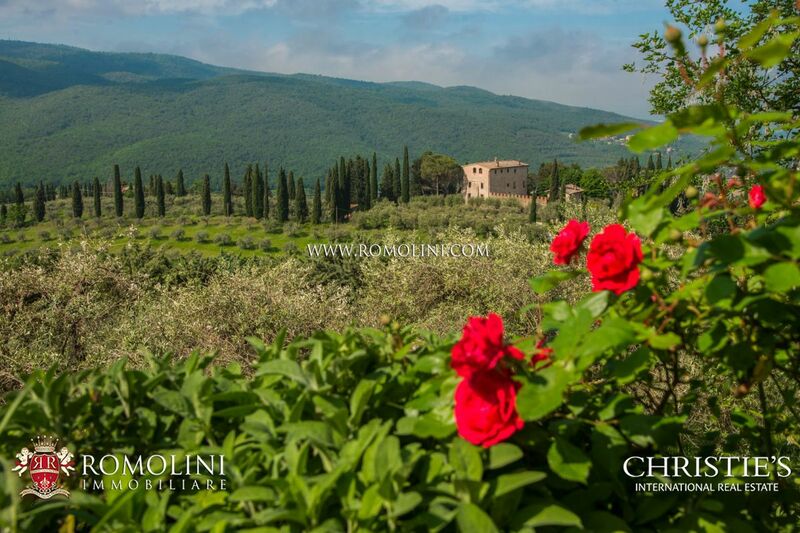 The location of the property, a short distance from the most notable towns of Umbria, would also allow starting a B&B-like accommodation business. 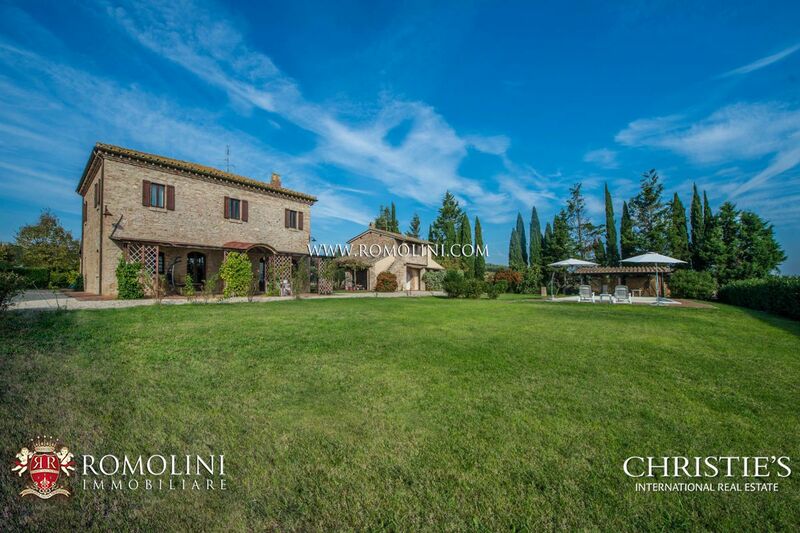 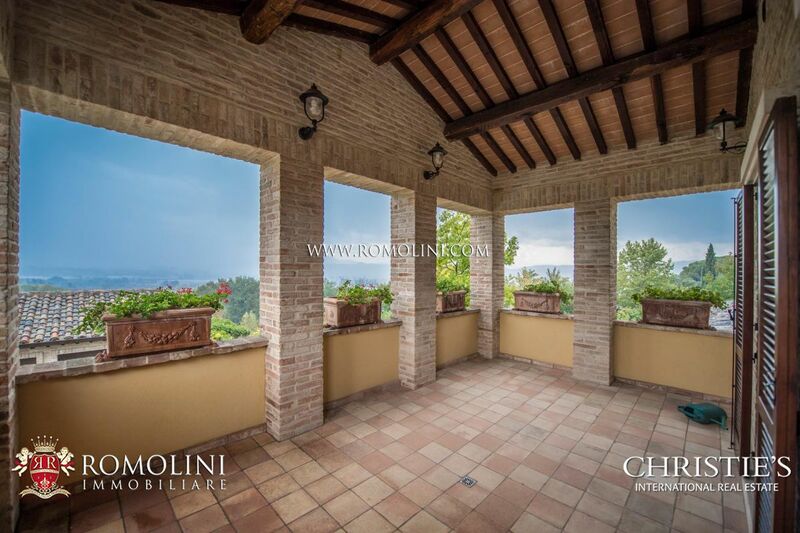 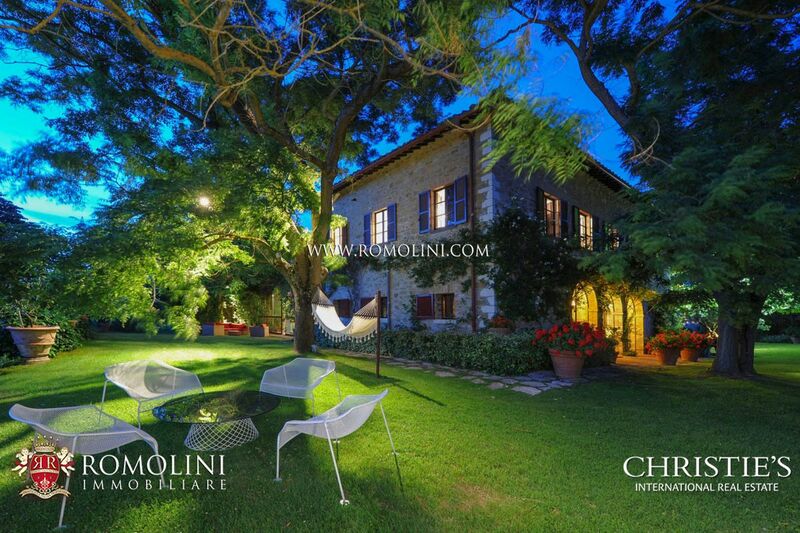 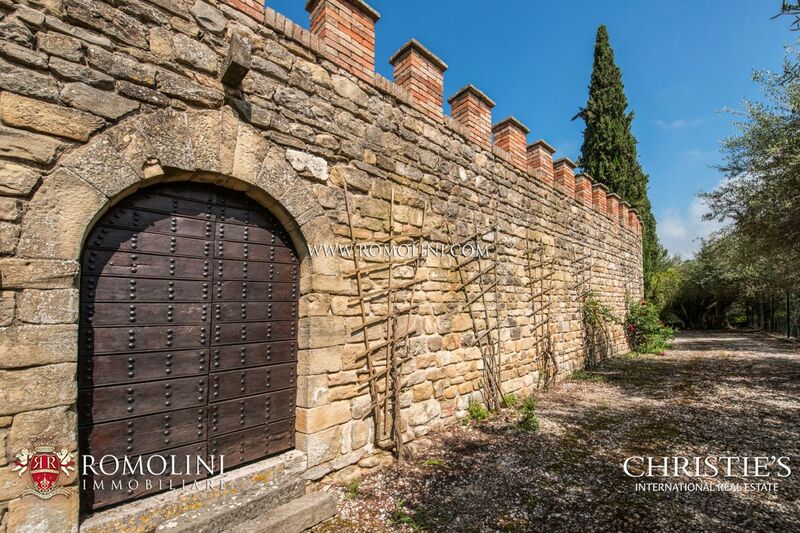 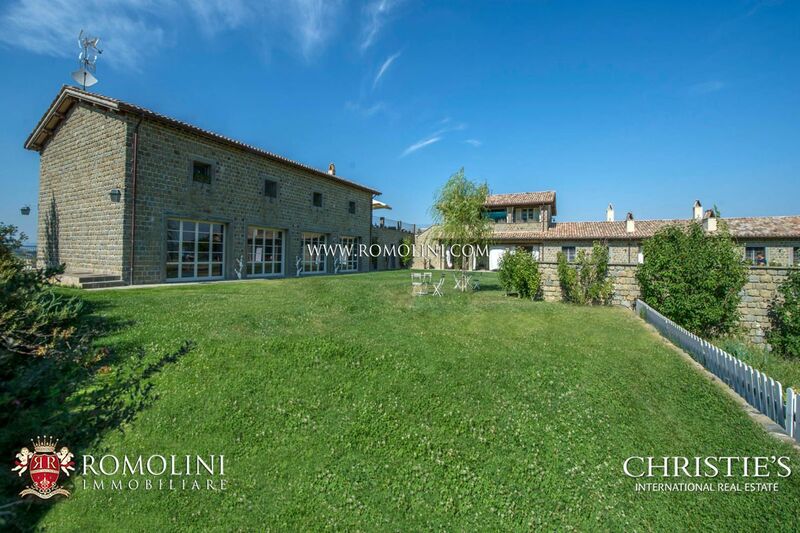 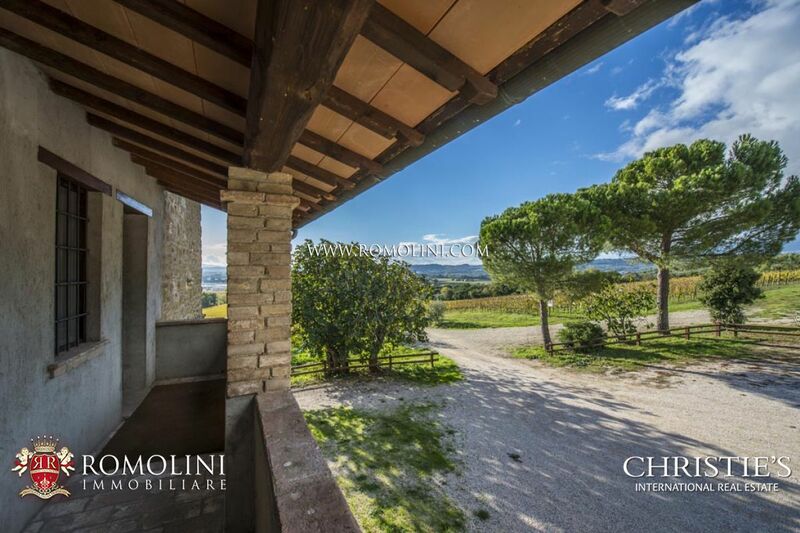 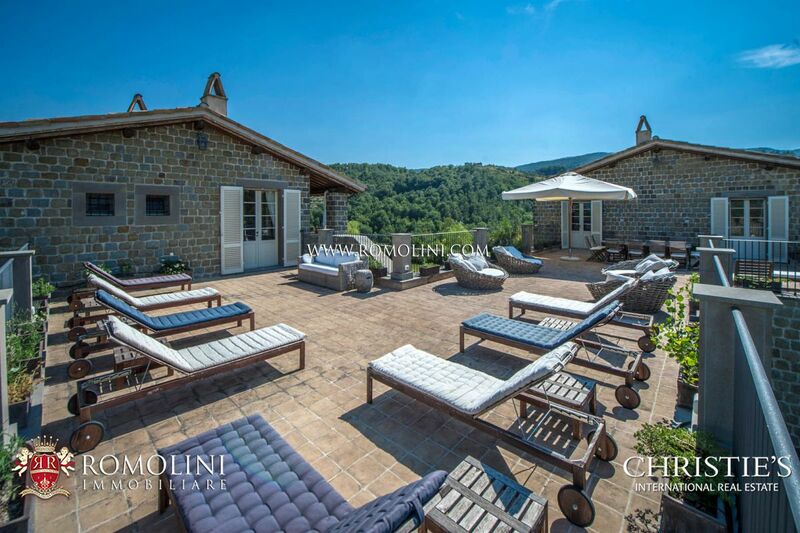 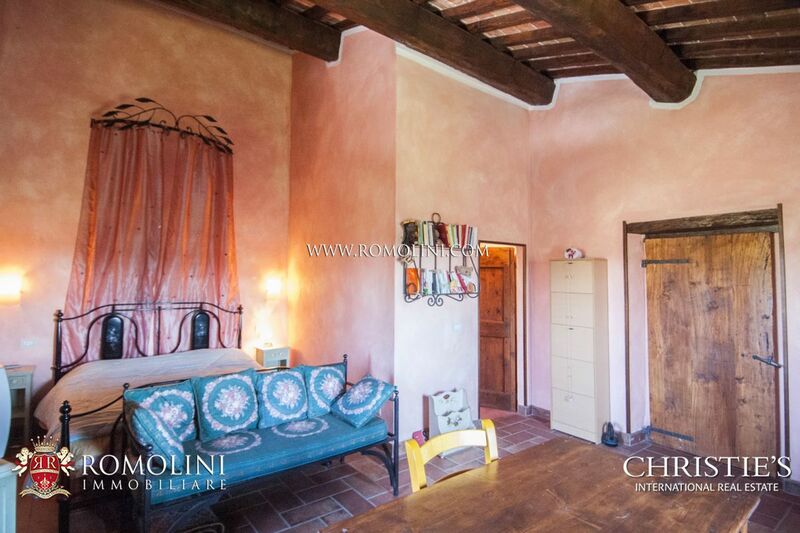 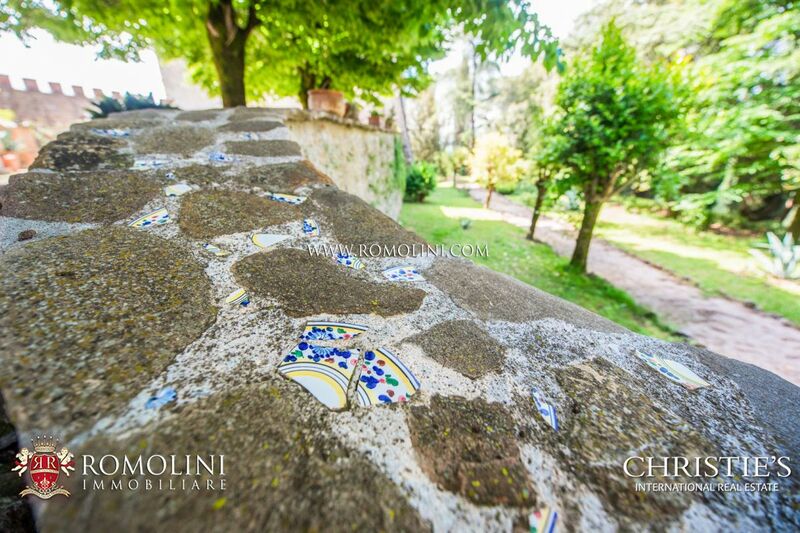 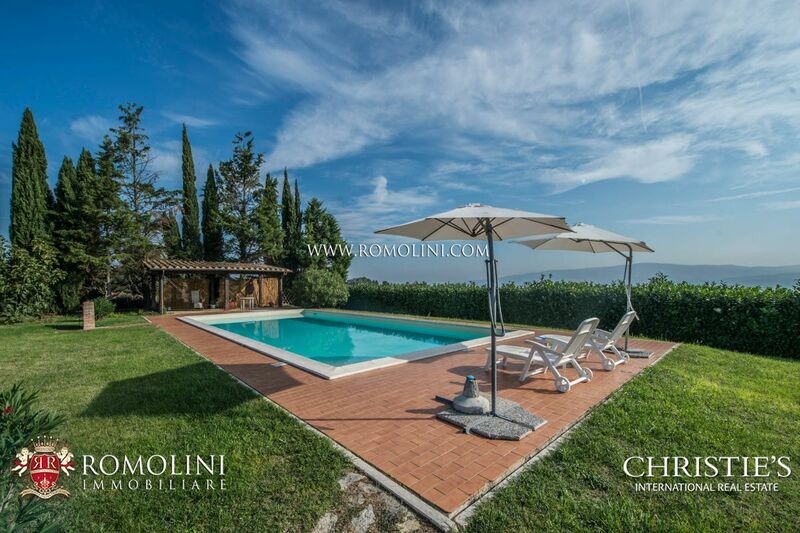 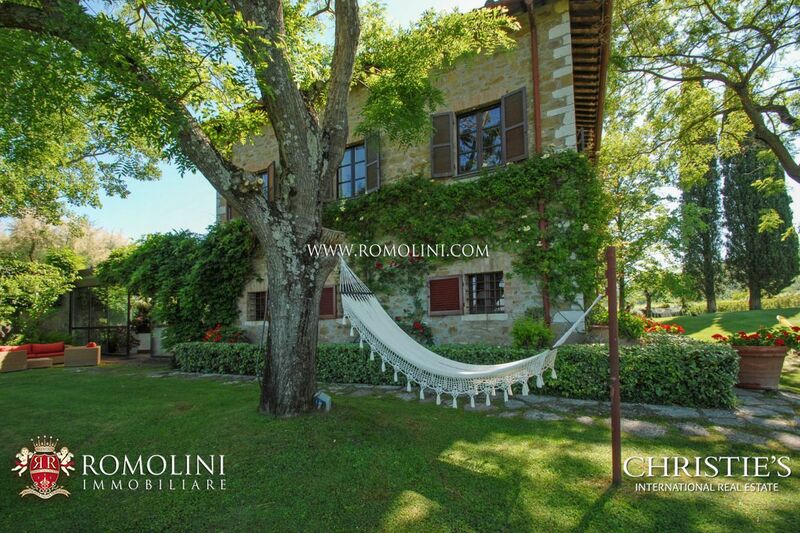 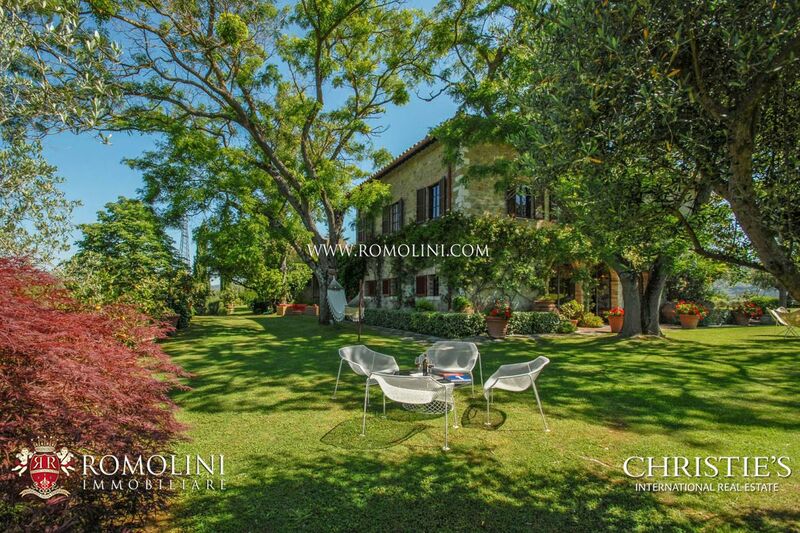 Just outside the town of Perugia, in a convenient and retired location, this luxury villa (650 sqm) has been built on the ruins of an old farmhouse by using only the finest materials. 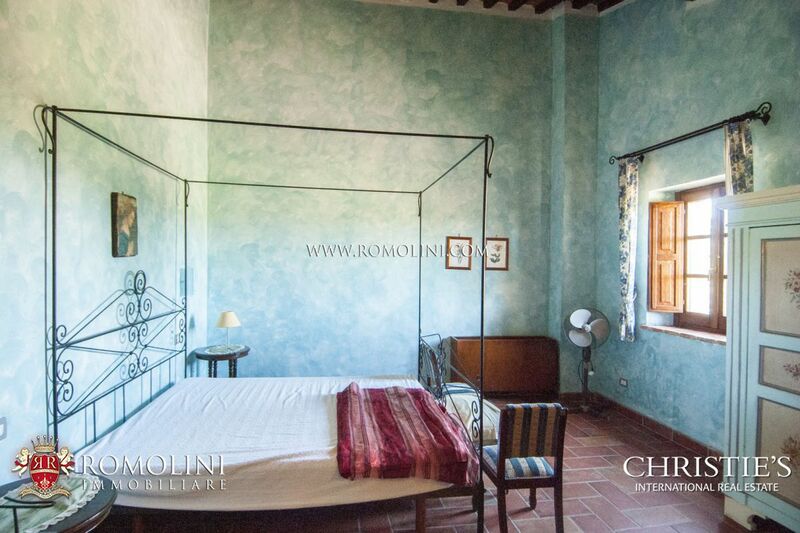 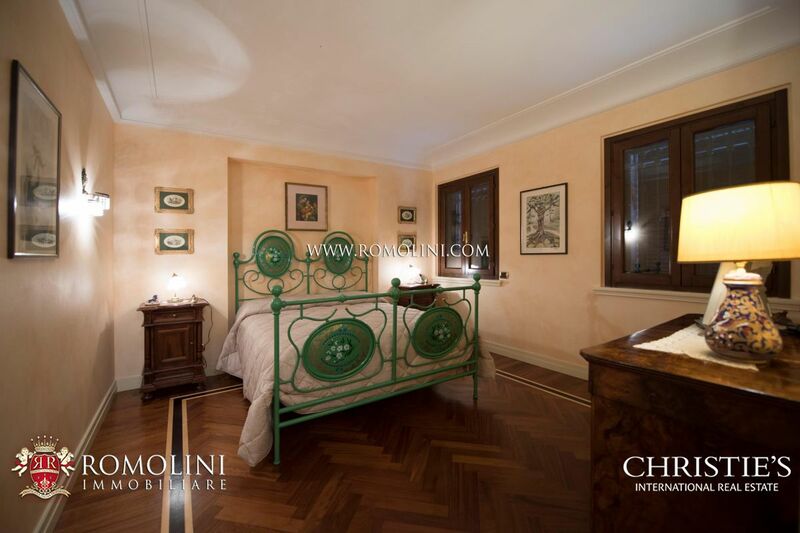 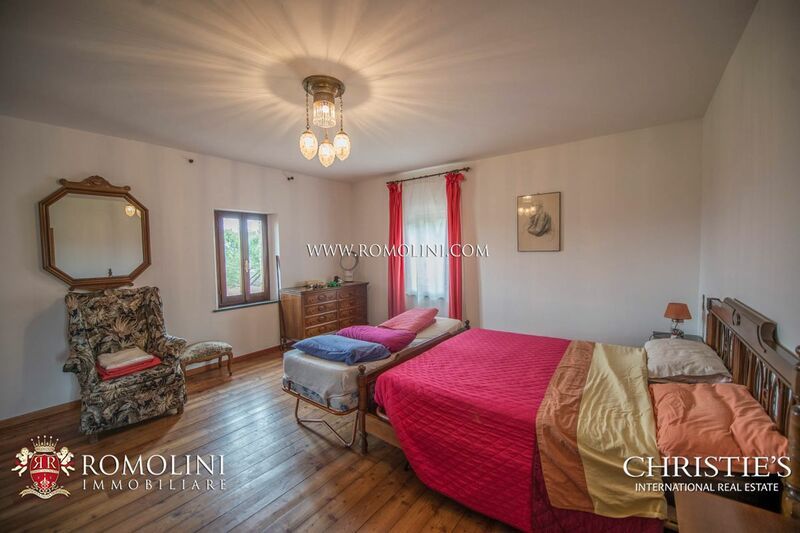 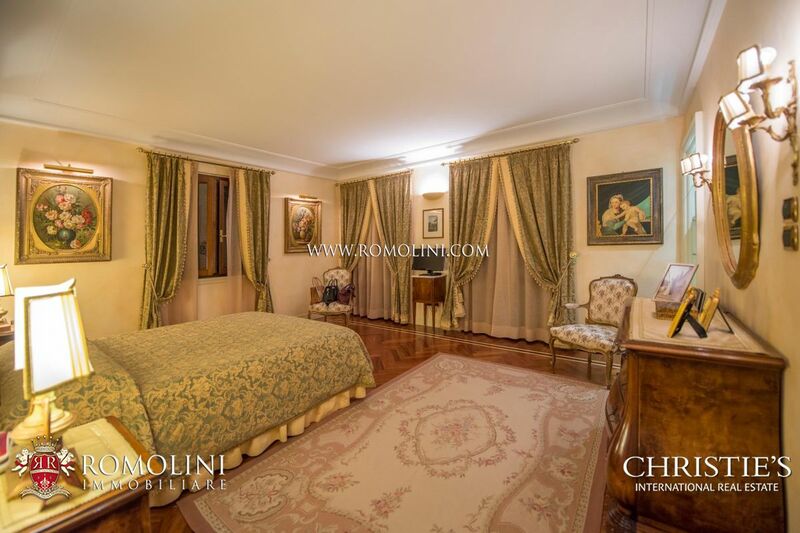 The house offers 4+ bedrooms and finely decorated rooms, making it perfect as a private residence. 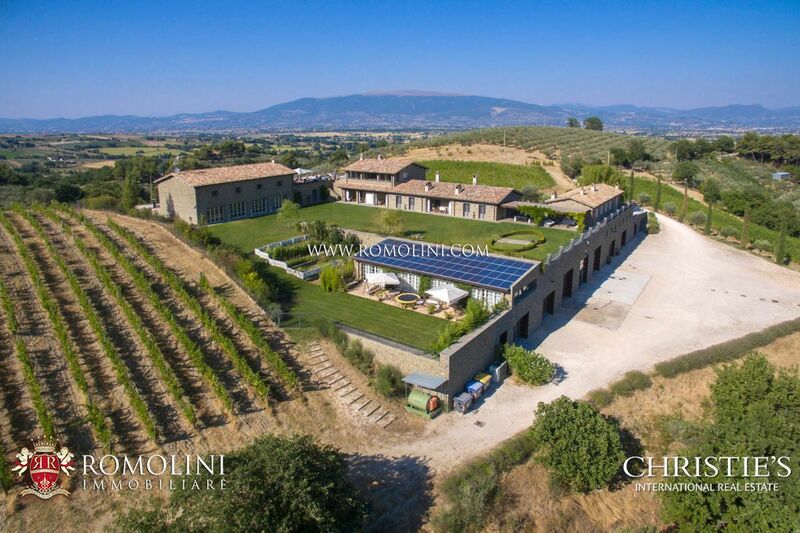 Outside, a 10,000 sqm garden allows building a swimming pool. 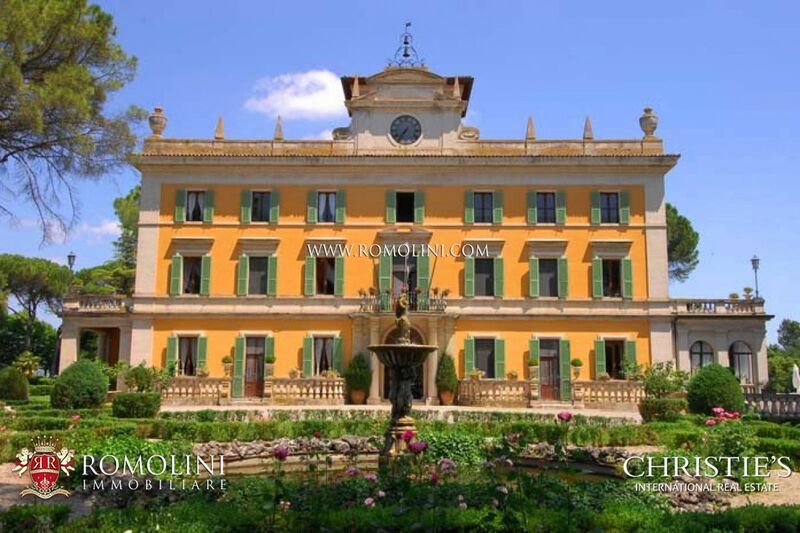 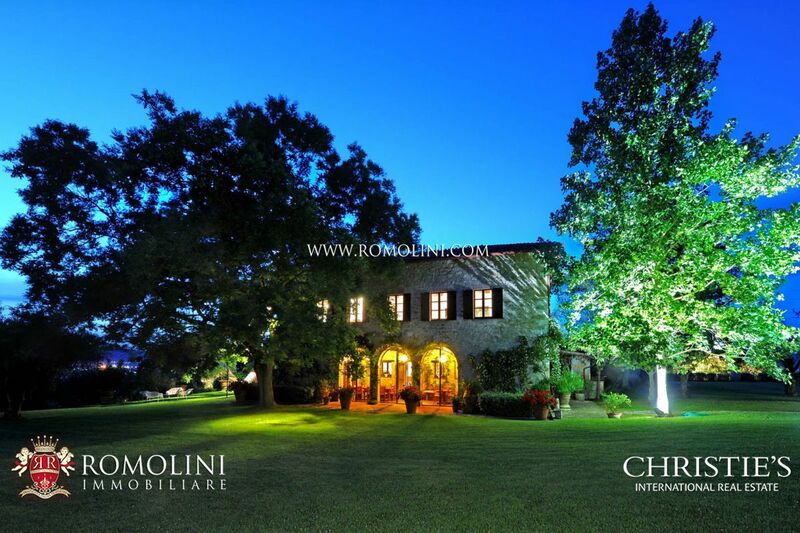 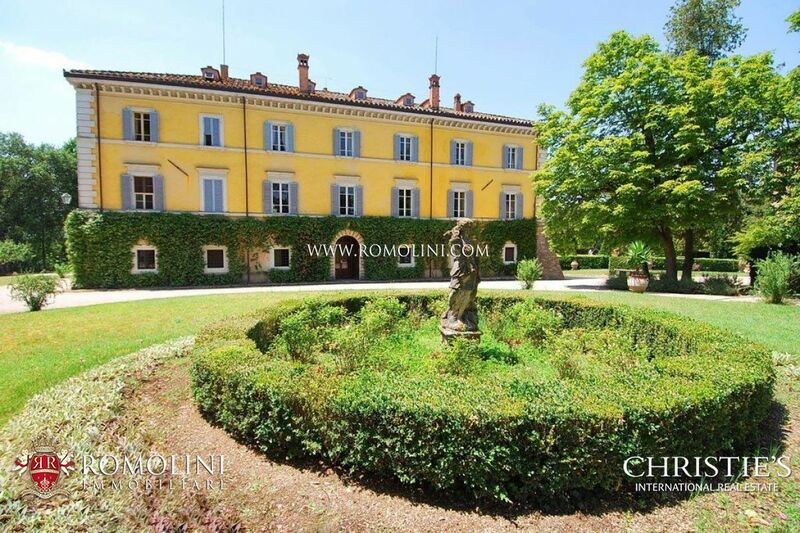 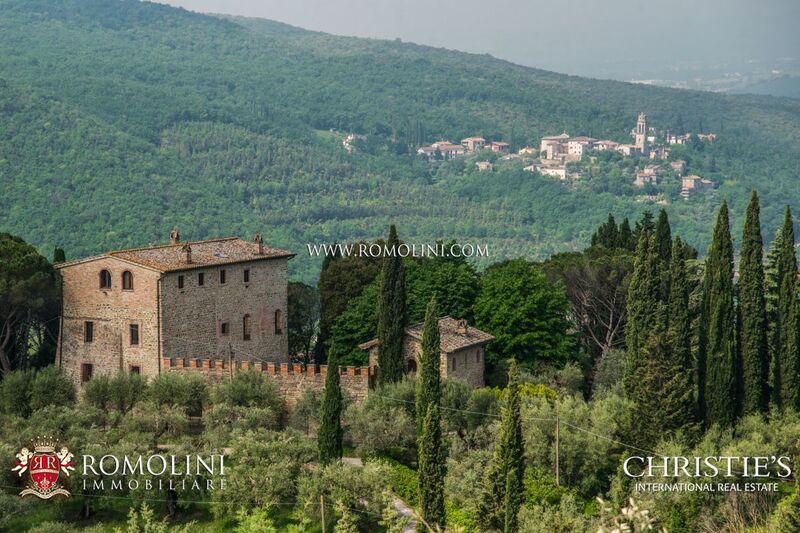 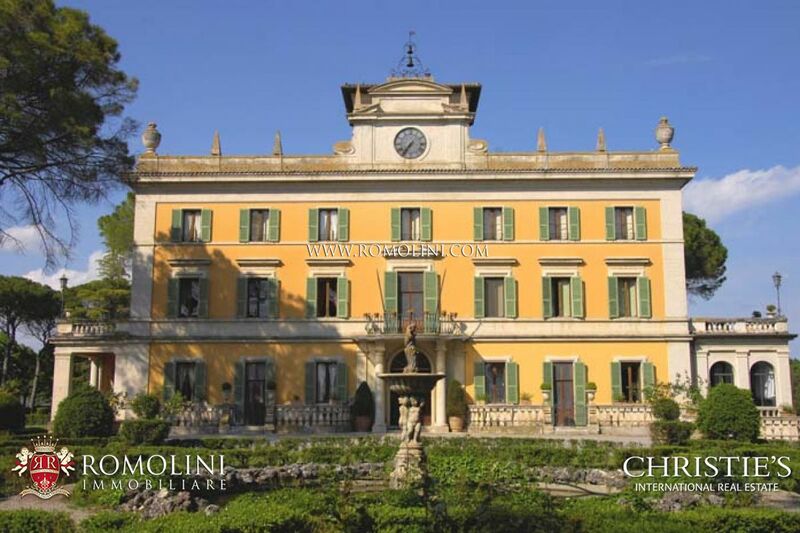 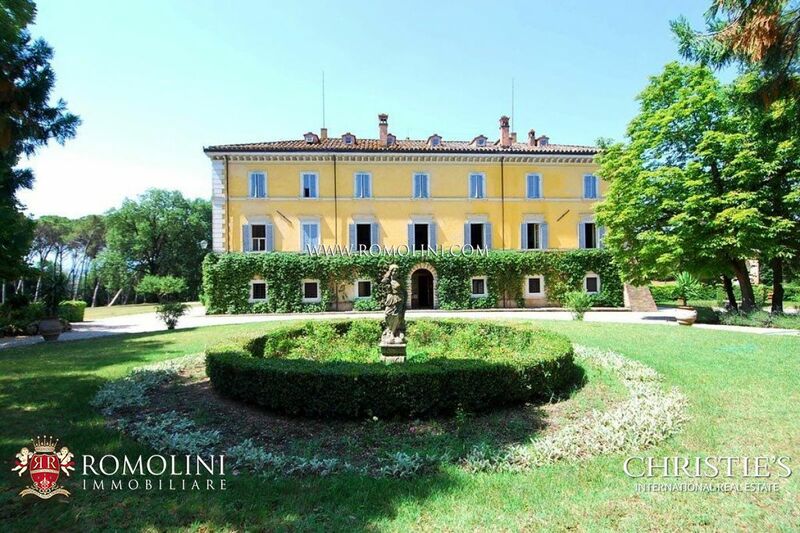 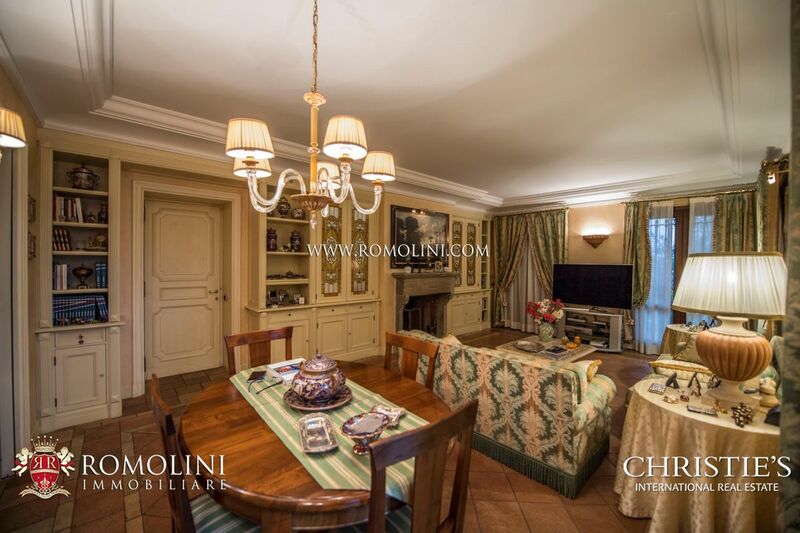 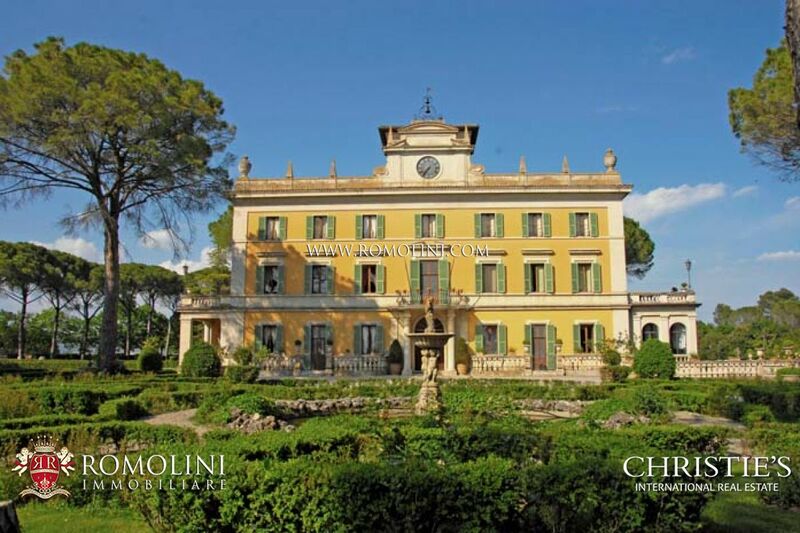 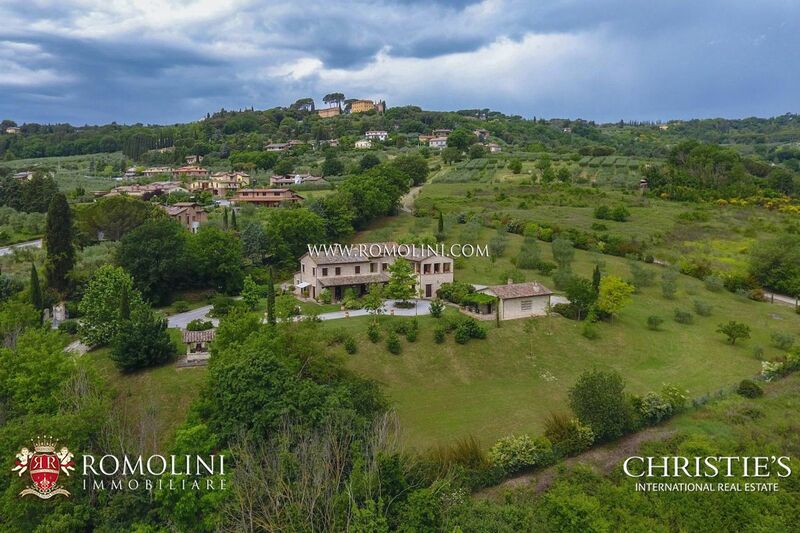 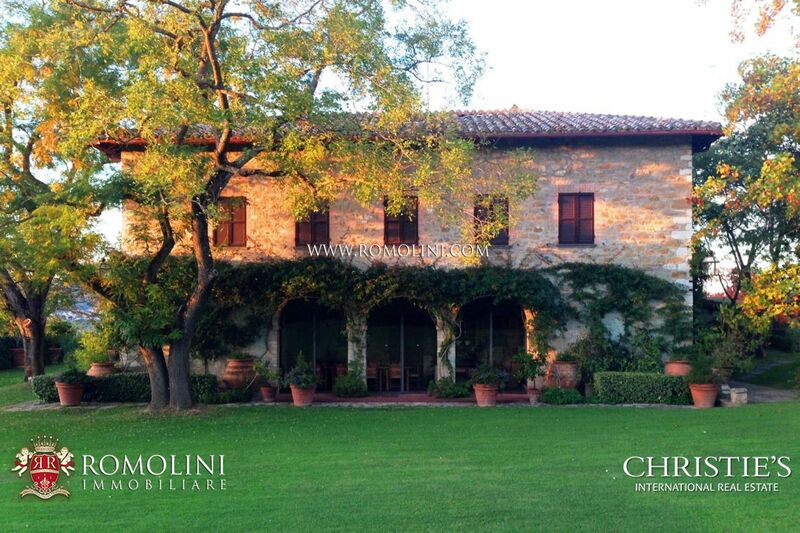 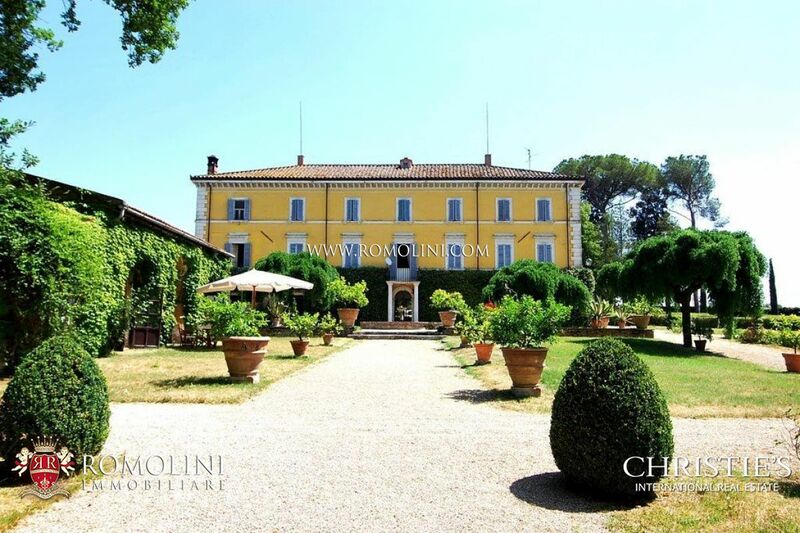 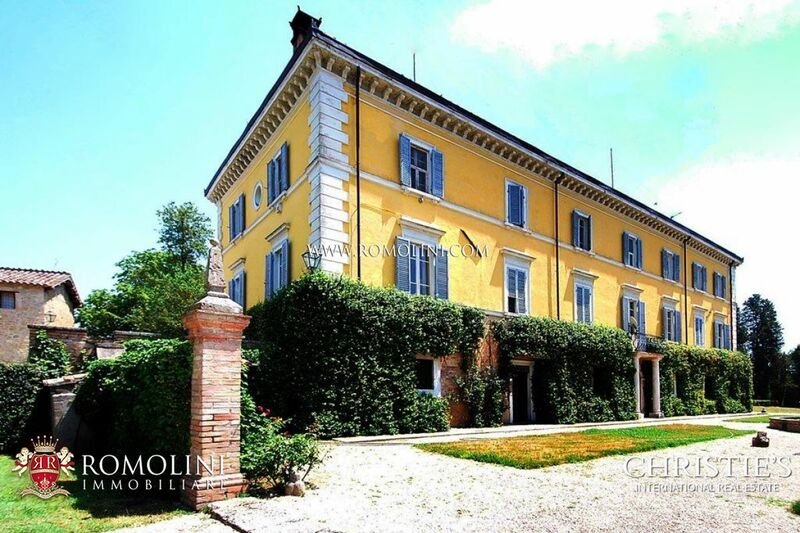 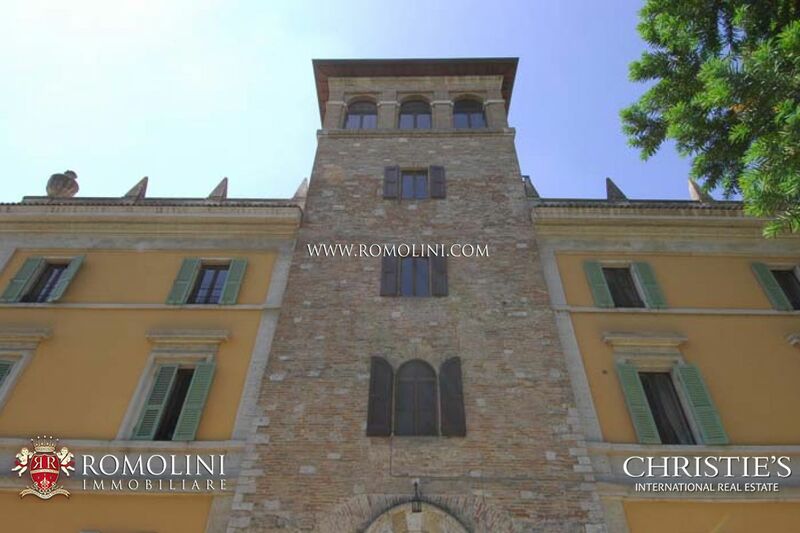 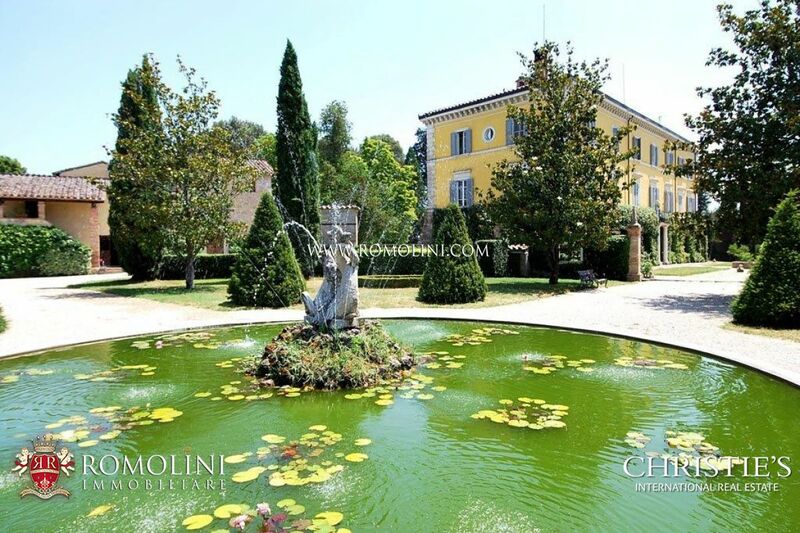 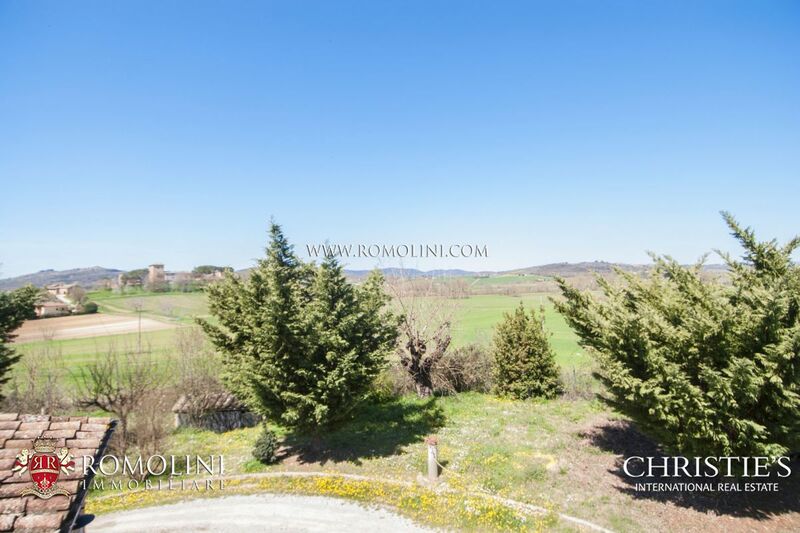 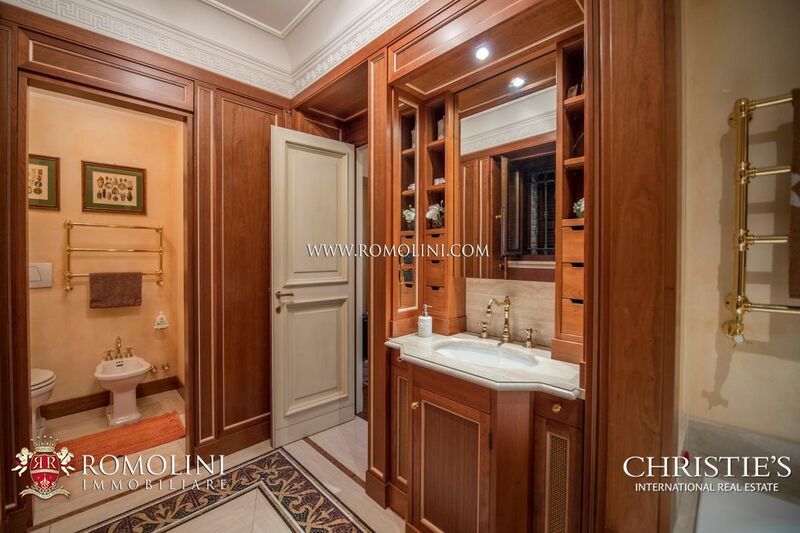 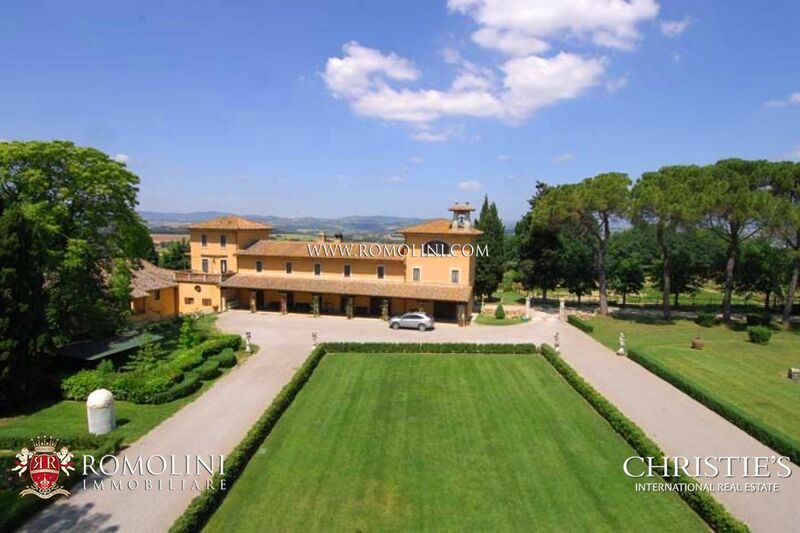 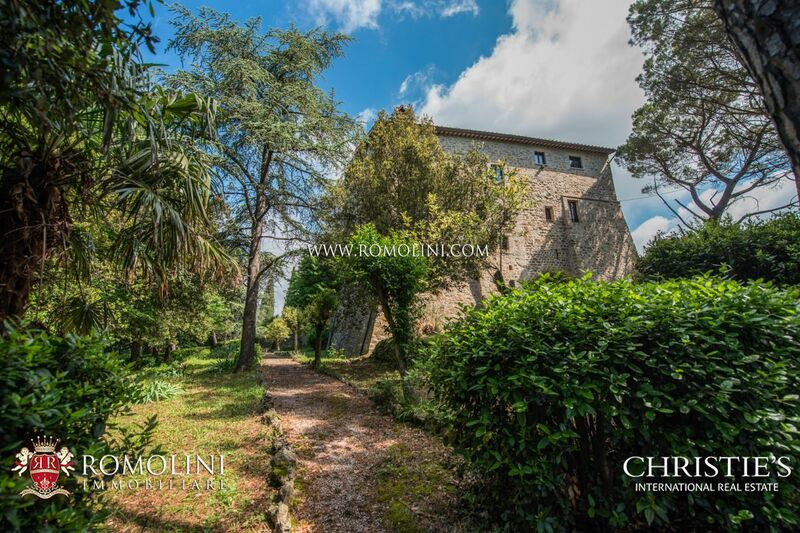 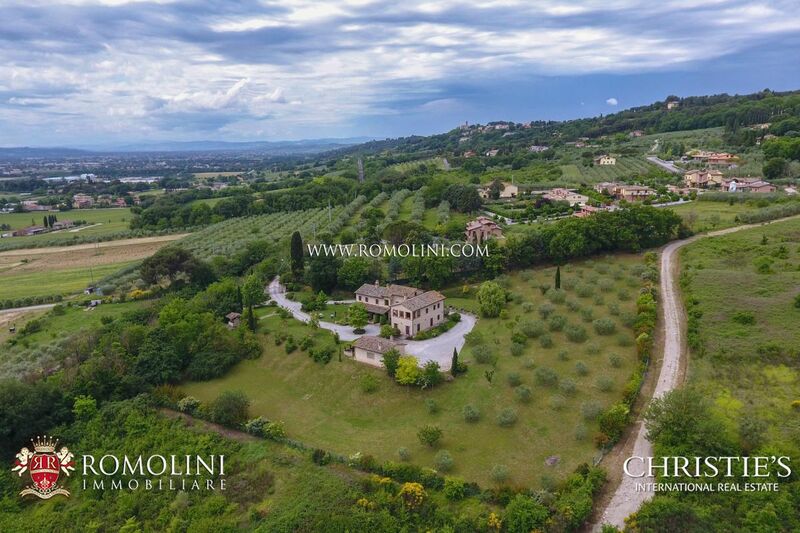 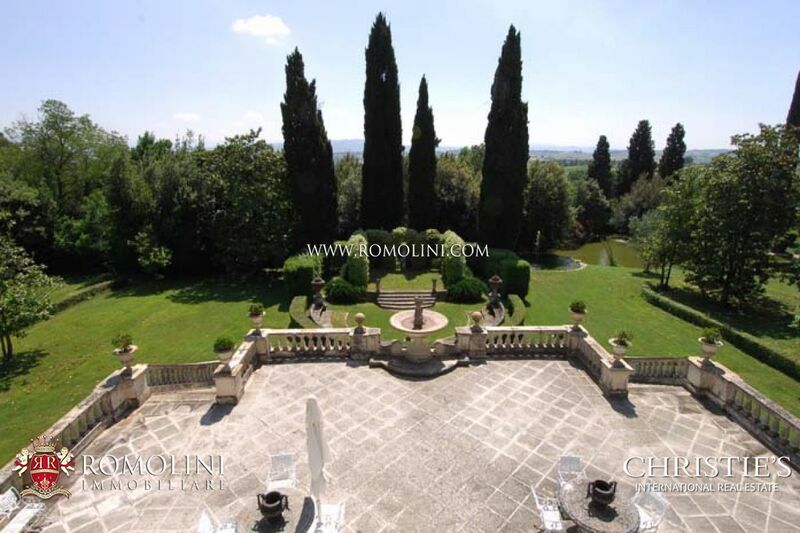 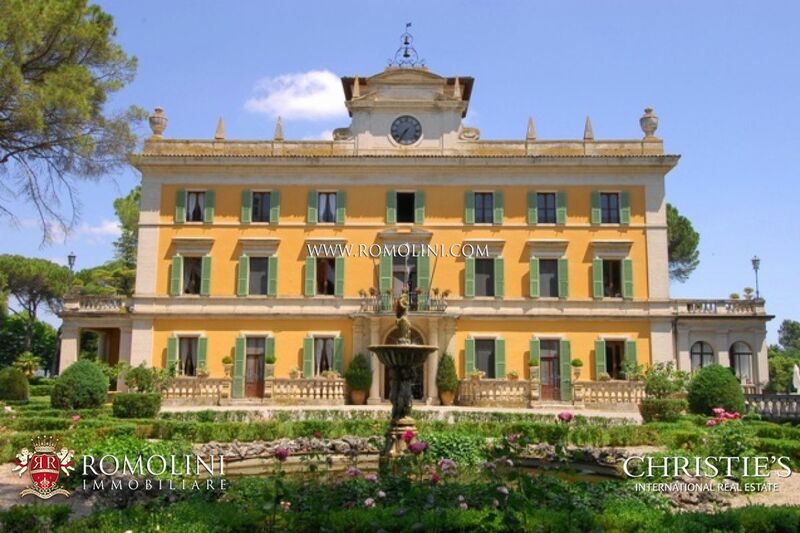 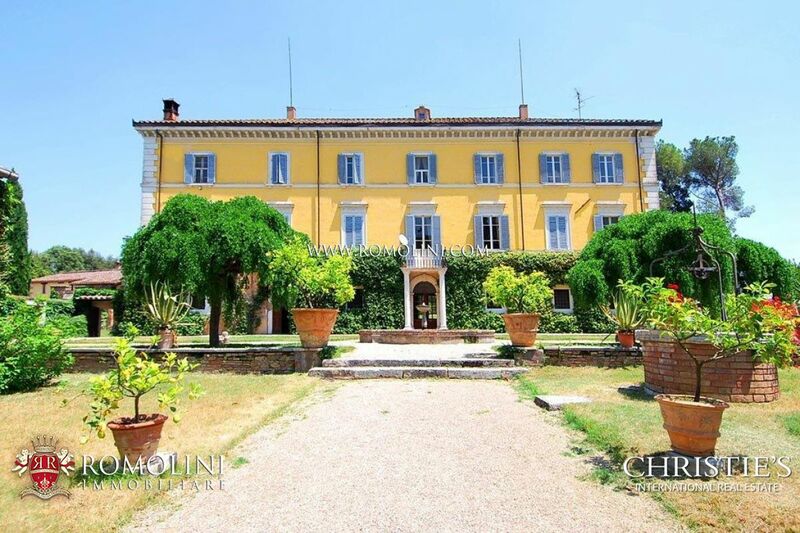 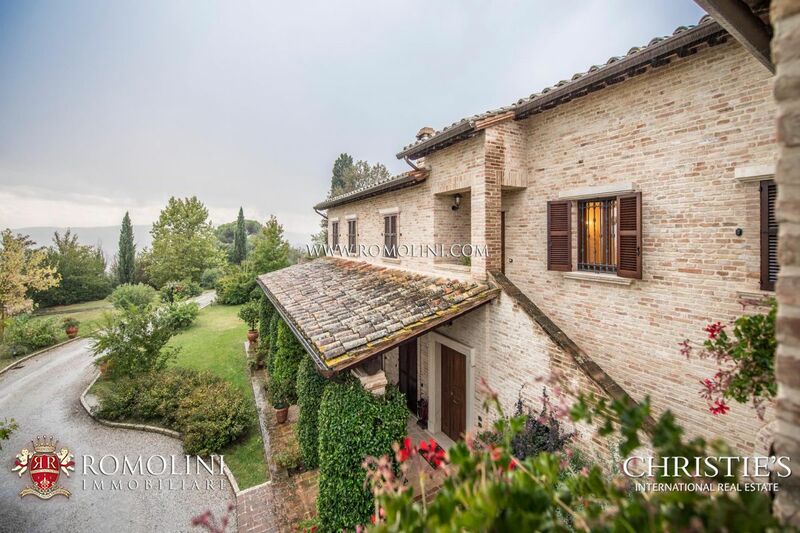 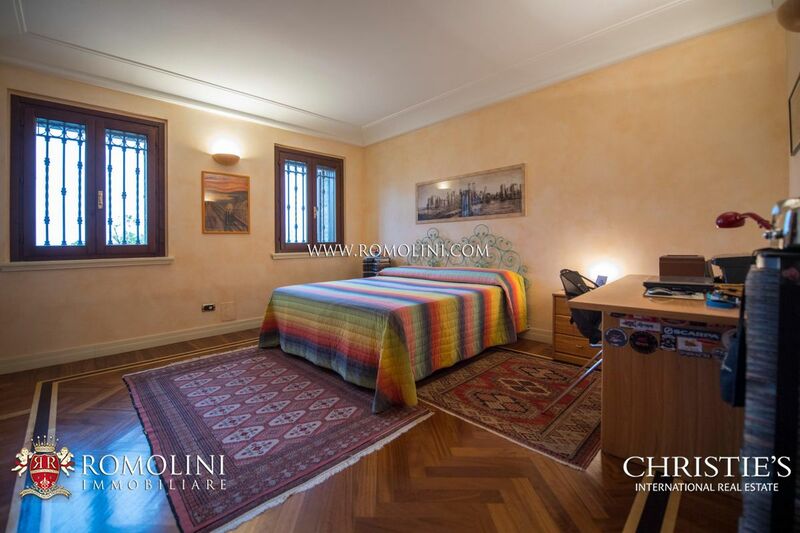 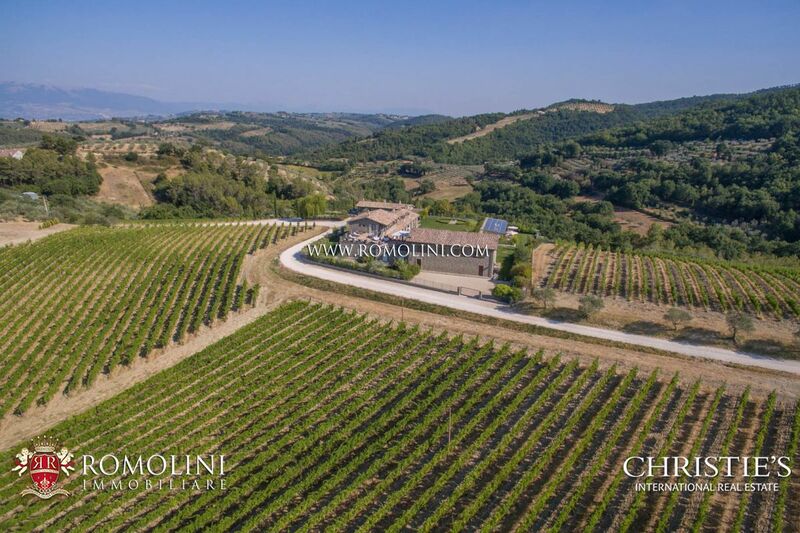 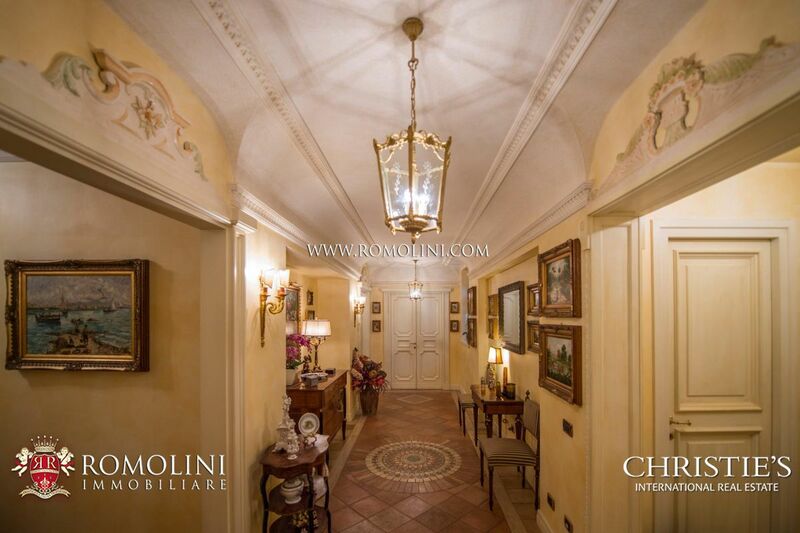 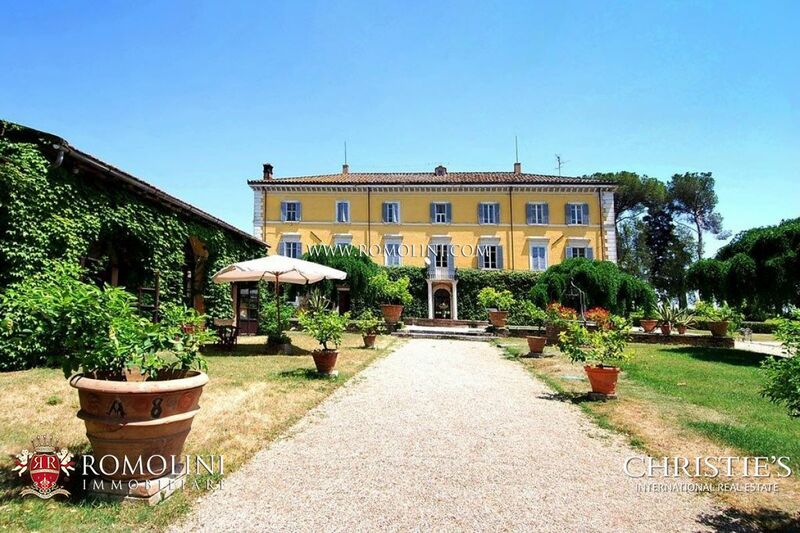 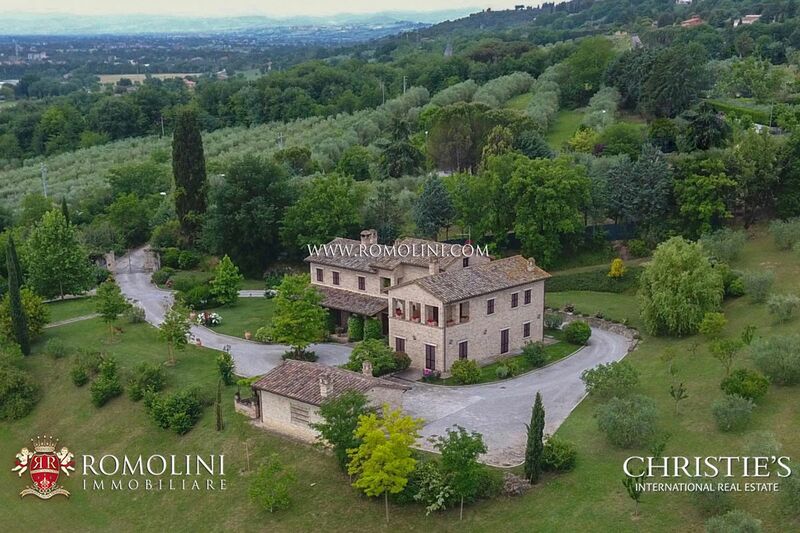 In the heart of Umbria, on the hills surrounding the Etruscan city of Perugia, this wonderful 650 sqm villa with 9 bedrooms and Renaissant tower is perfect for anyone looking for a luxury property to use as a private residence or as a base for a hosting business. 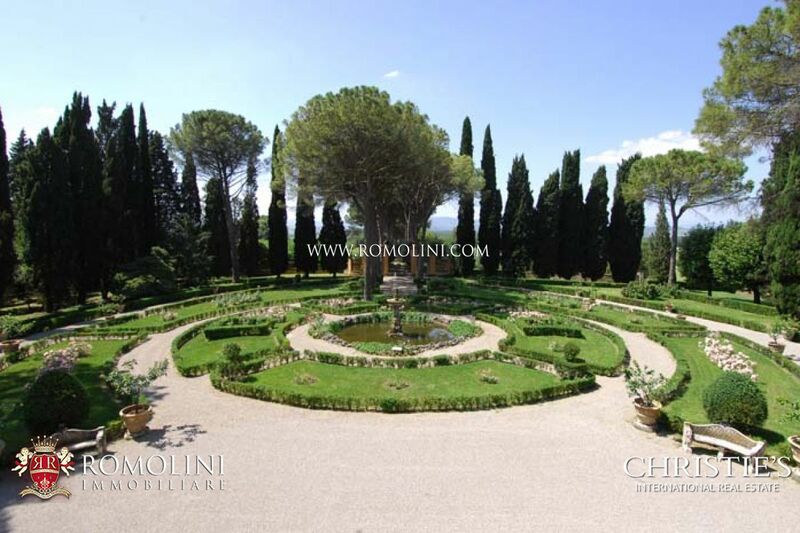 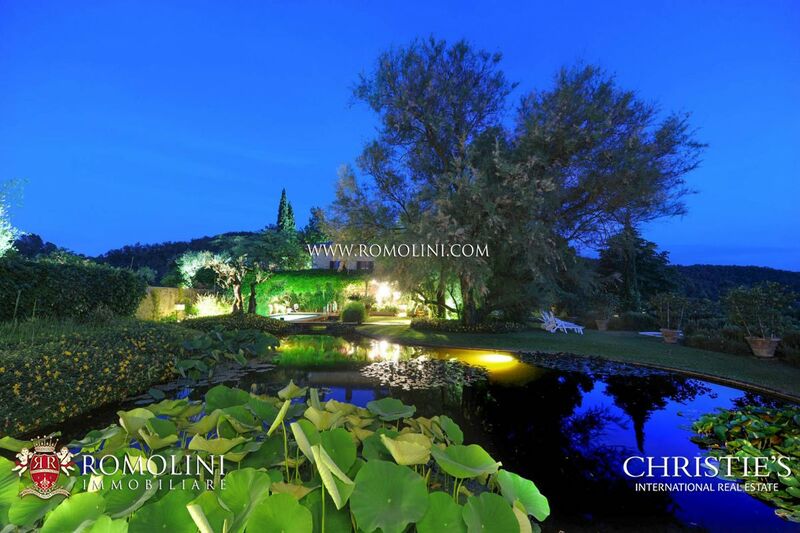 The icing on this beautiful cake is the beautiful garden designed by the landscape architect Pietro Porcinai and made up of a park and a winter garden with swimming pool. 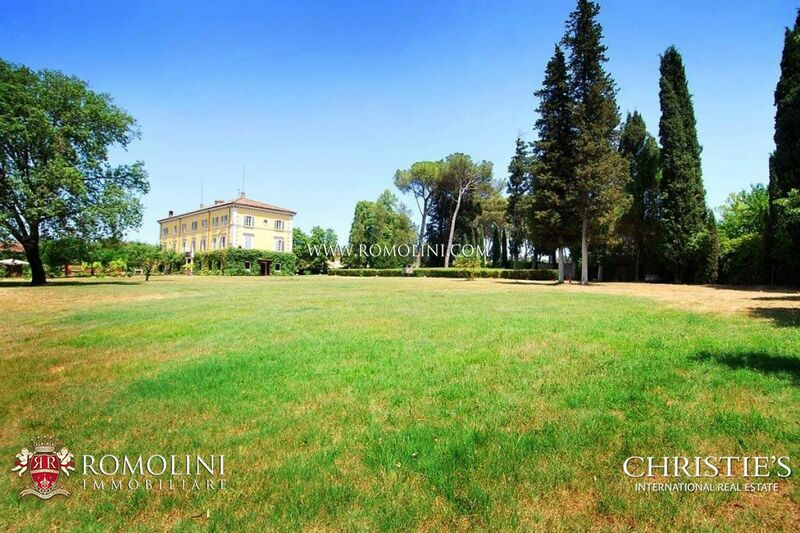 The property is then completed by a tennis court. 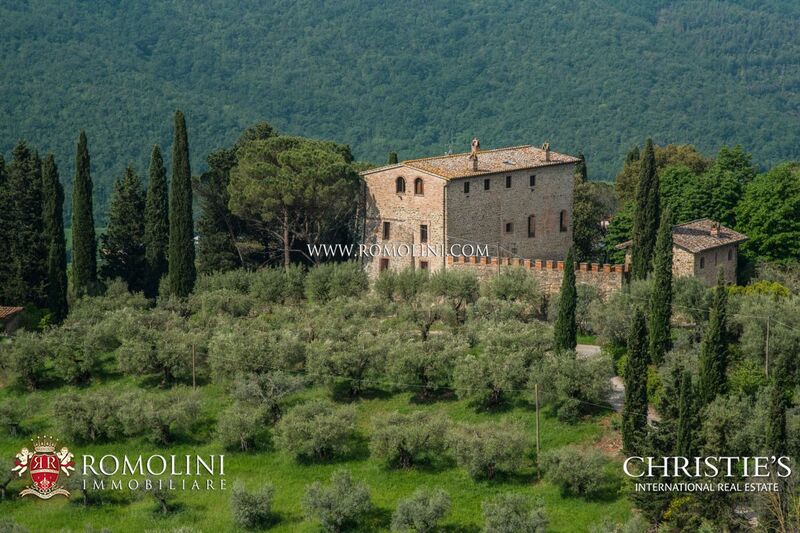 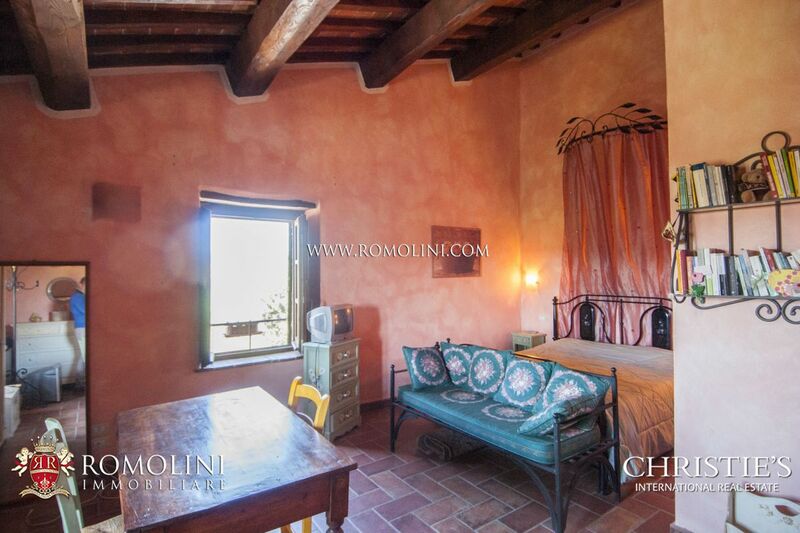 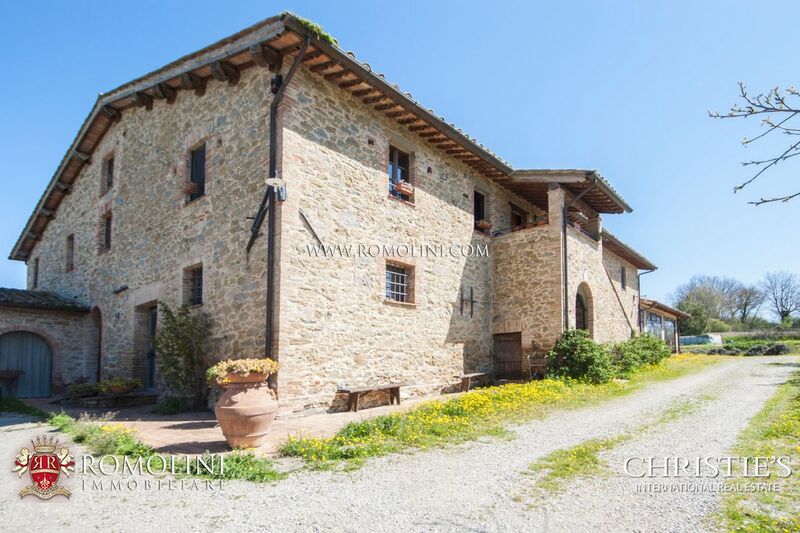 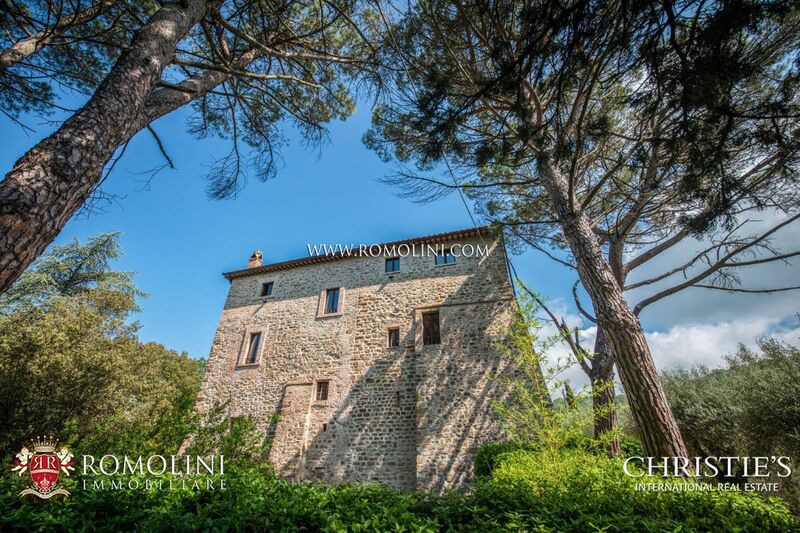 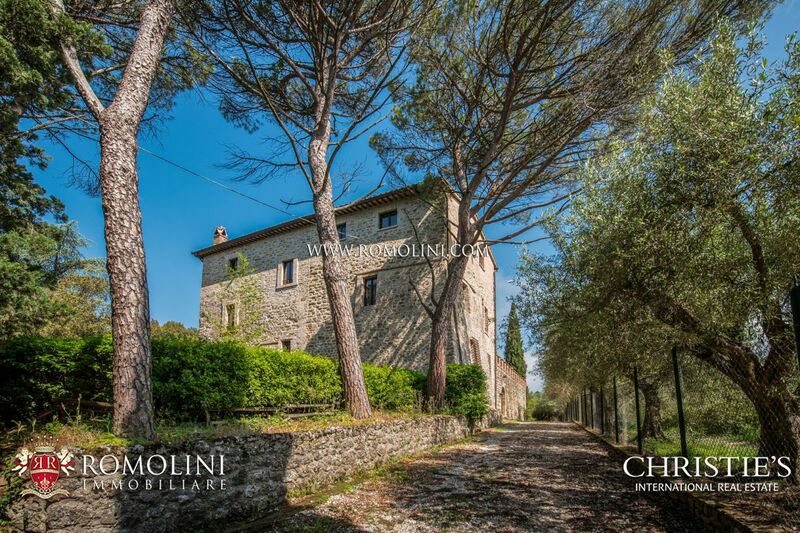 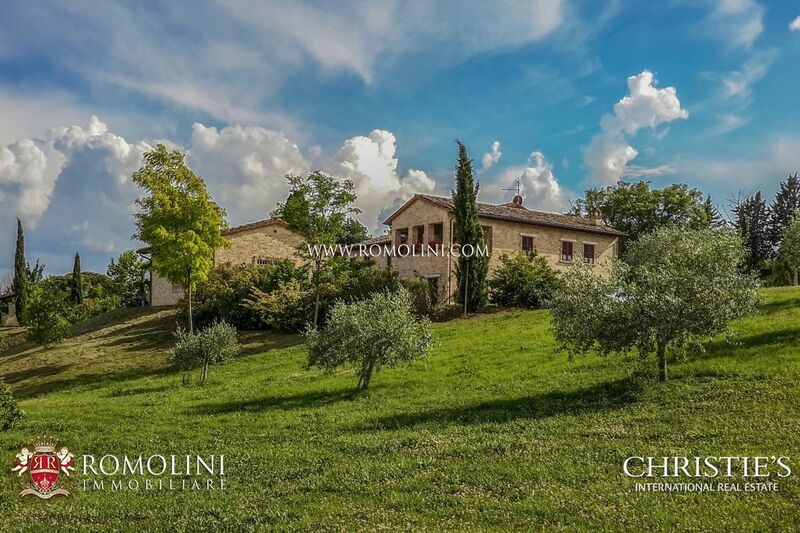 On the hills of Umbria, not far from Perugia, this medieval watch tower has been converted into a luxury farmhouse and offers (together with a dependance) 700 sqm of surface and 6 bedrooms. 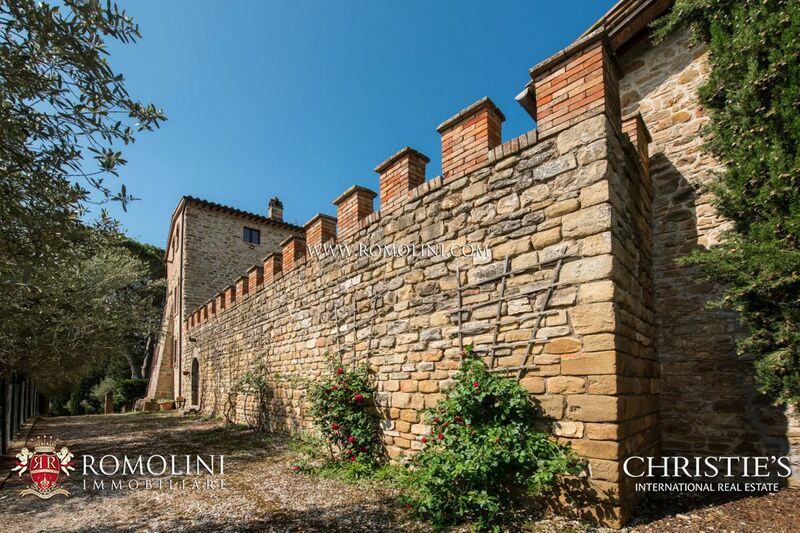 A courtyard enclosed by crenellated walls offers a nice outdoor area to relax. 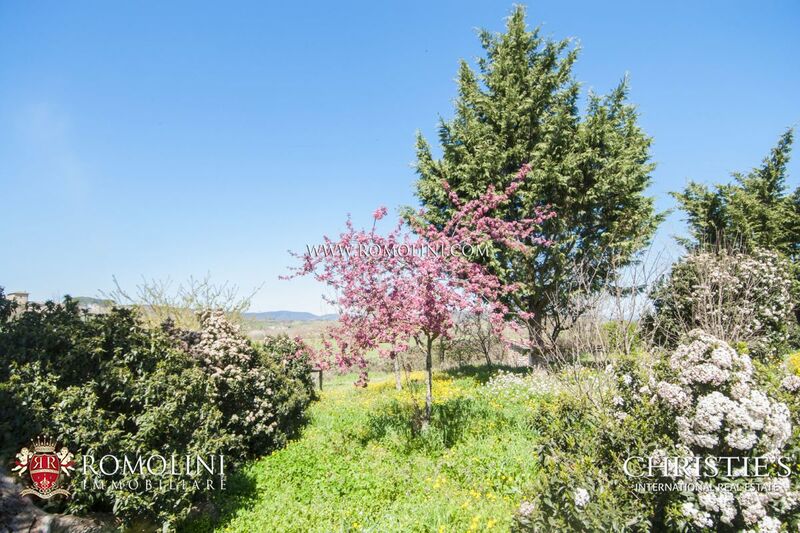 The farmhouse is surrounded by 10.6 hectares of land (currently rented out) and boasts a 150-tree olive grove to produce oil. 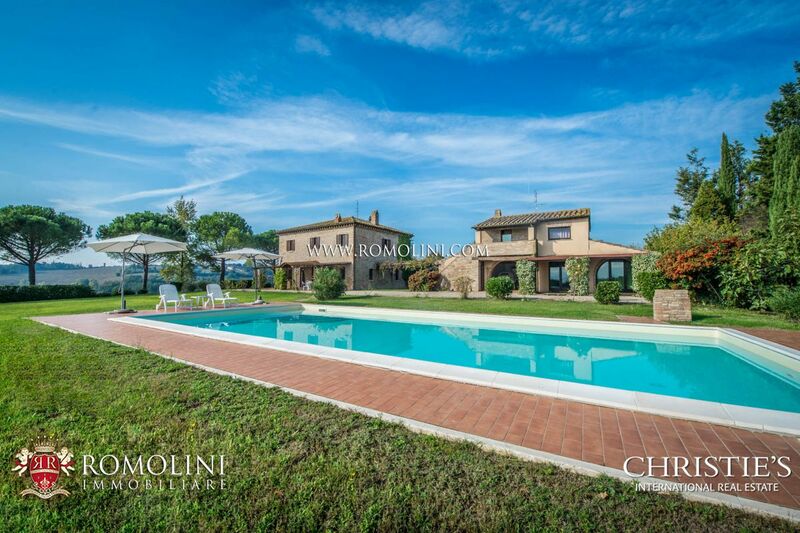 Sited in an enviable location, this detached villa has an outdoor heated pool and amazing views. 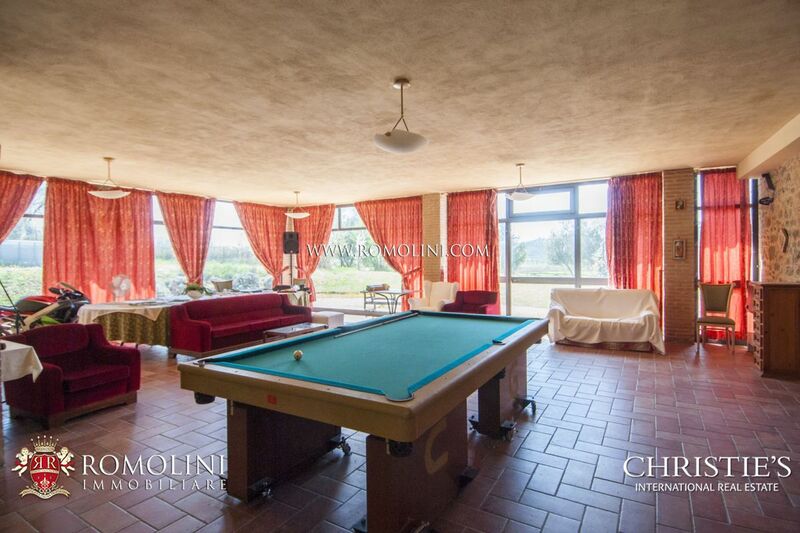 The property is successfully rented out but it could be used as main home or second home as well. 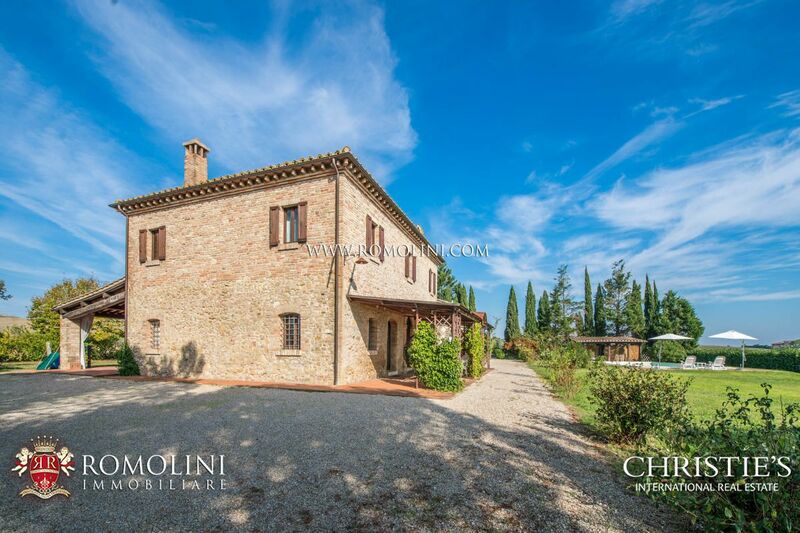 This three-bedroom, three bath villa sits on 3,5 hectares of land with approx. 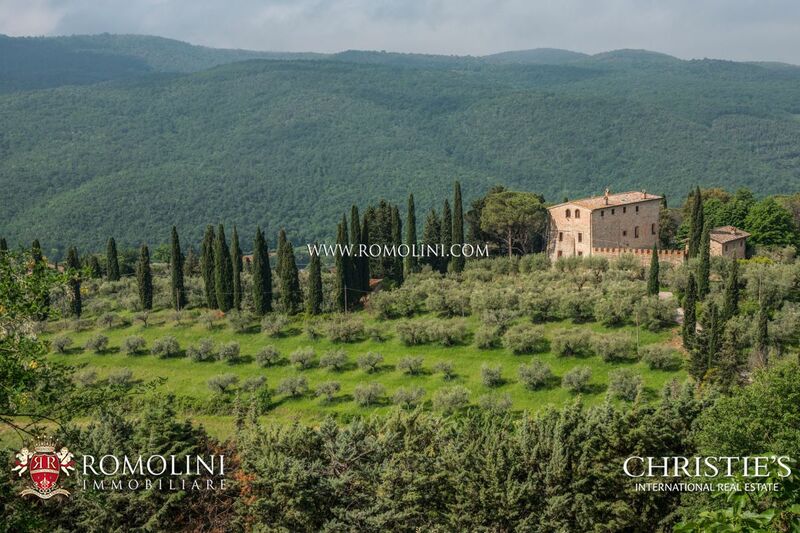 150 olive trees and woodland. 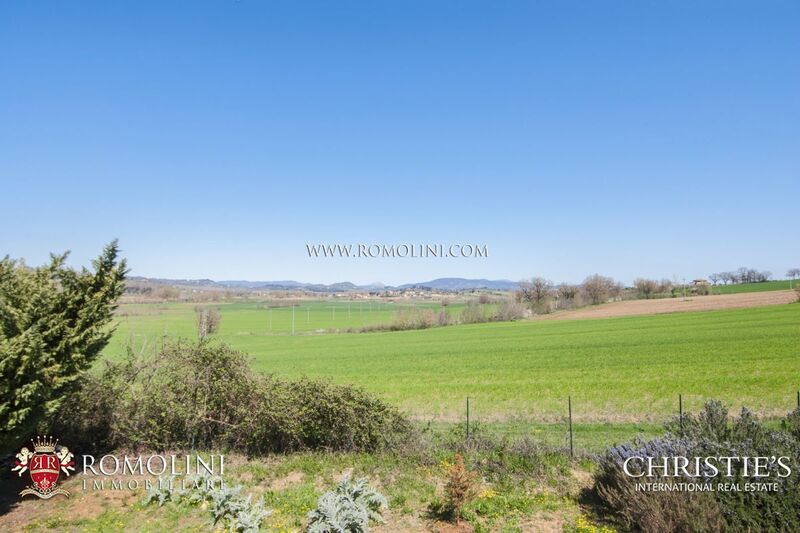 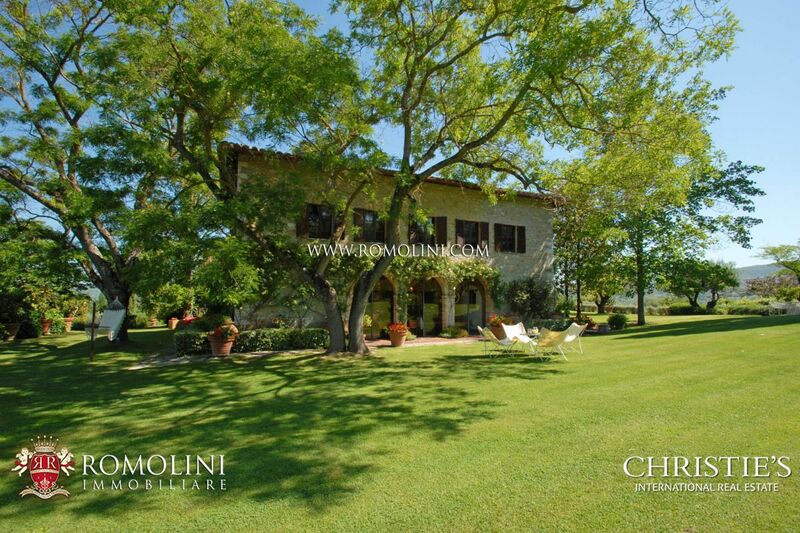 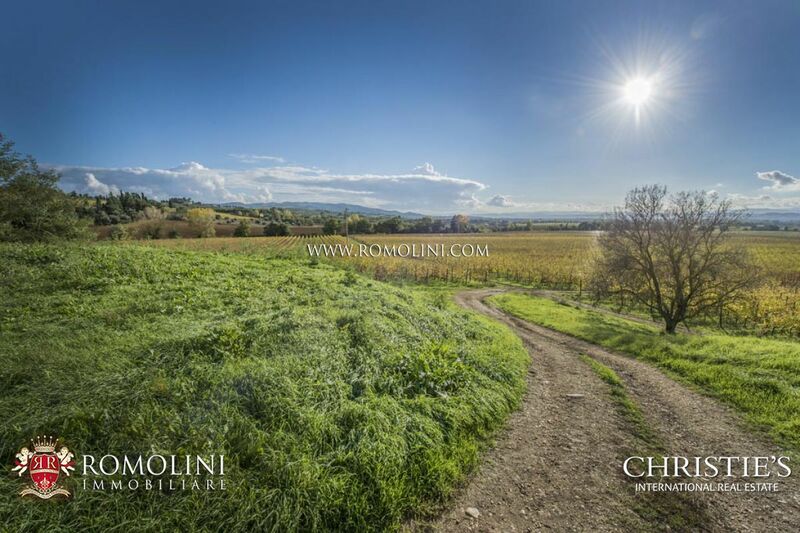 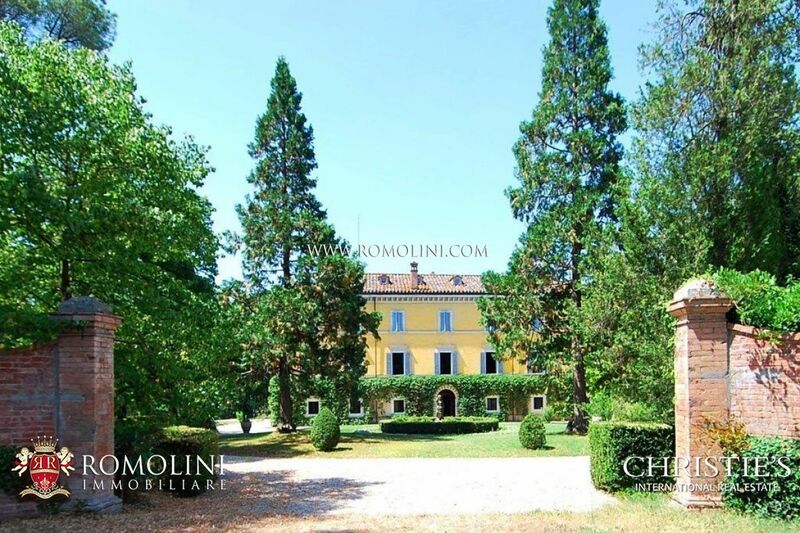 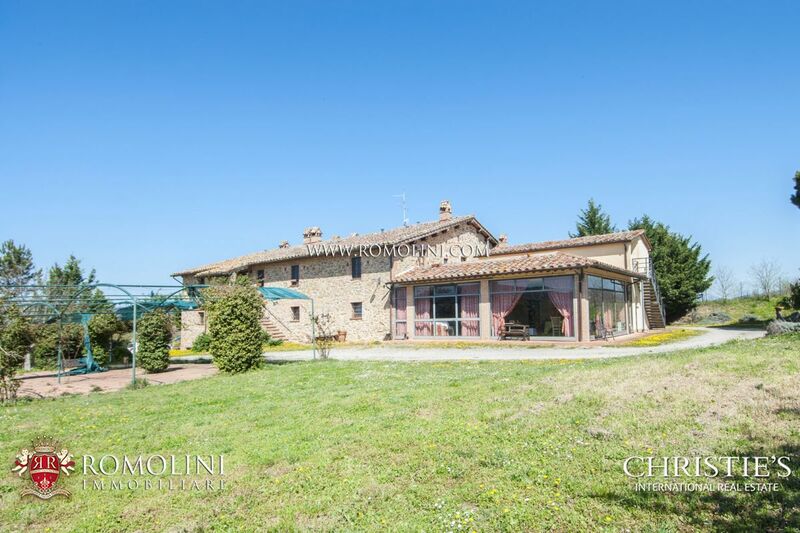 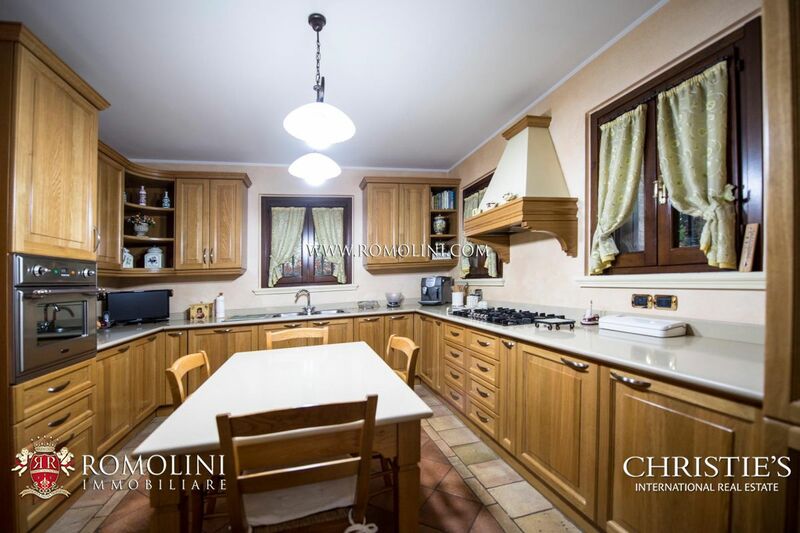 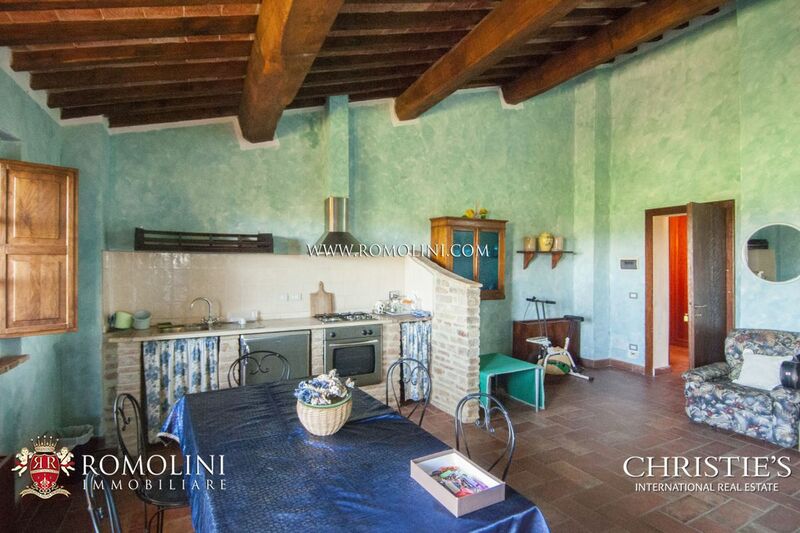 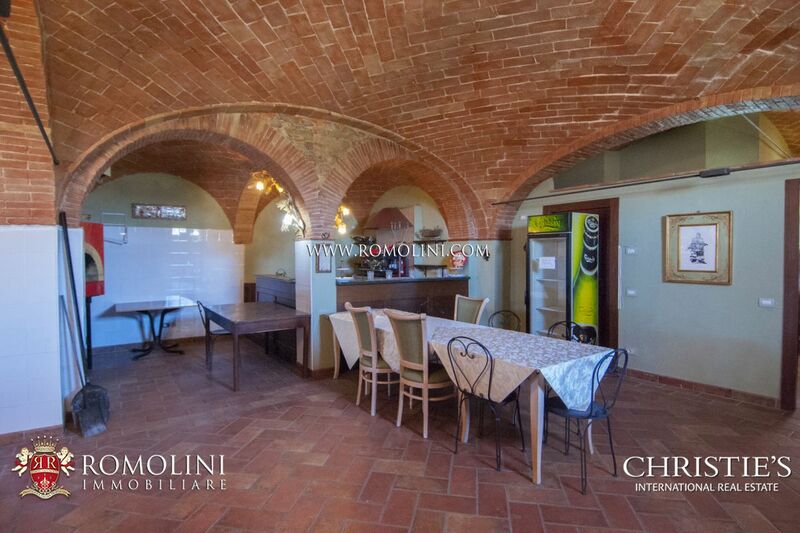 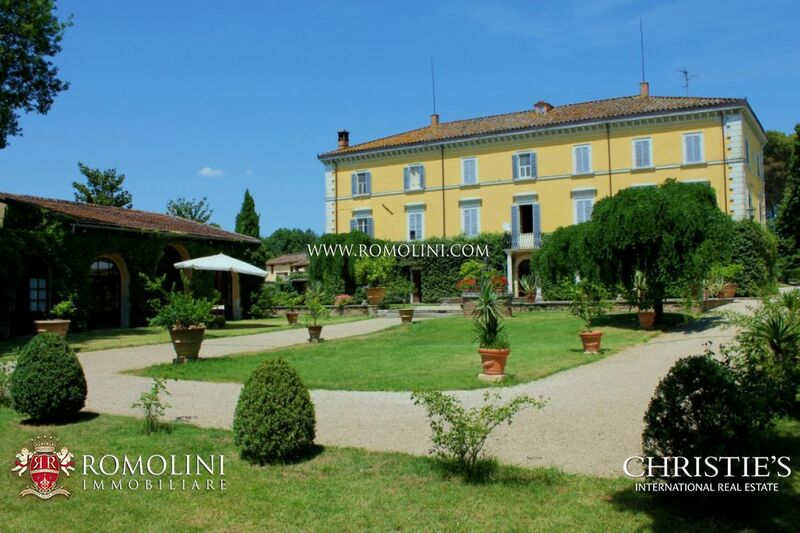 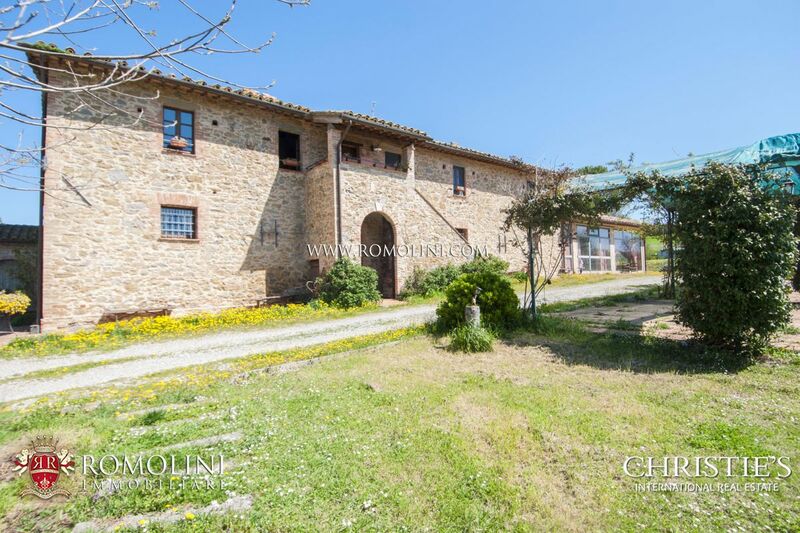 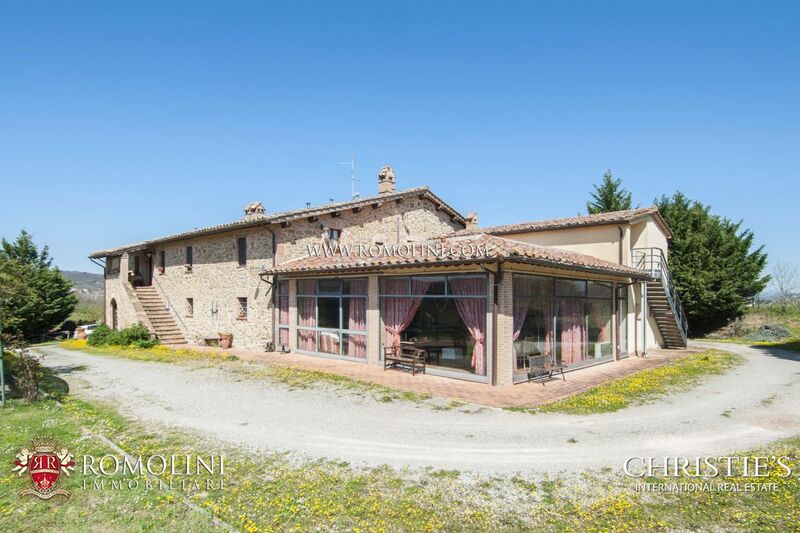 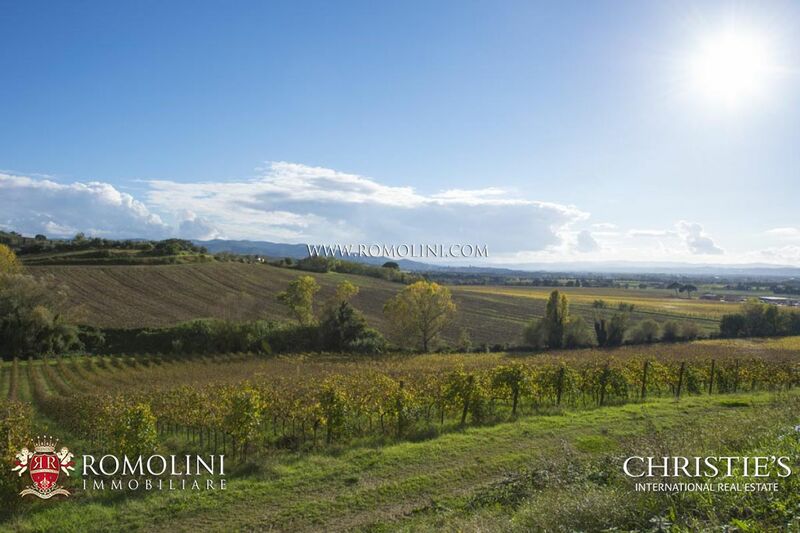 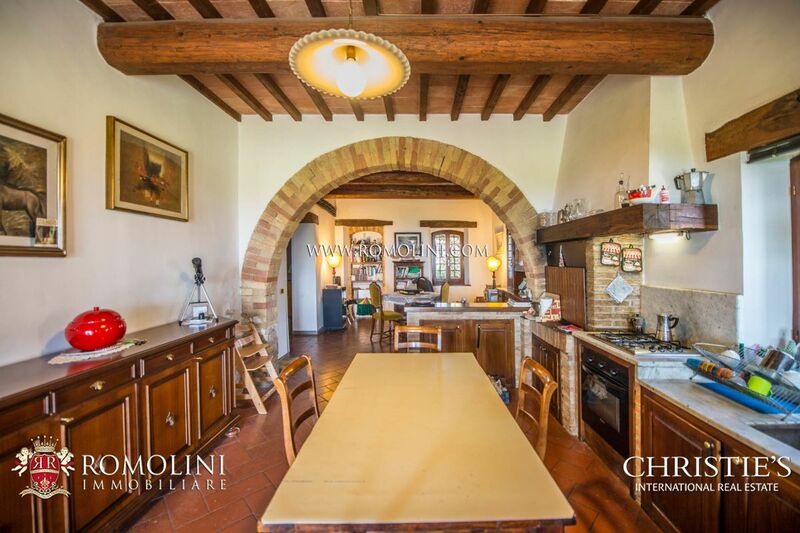 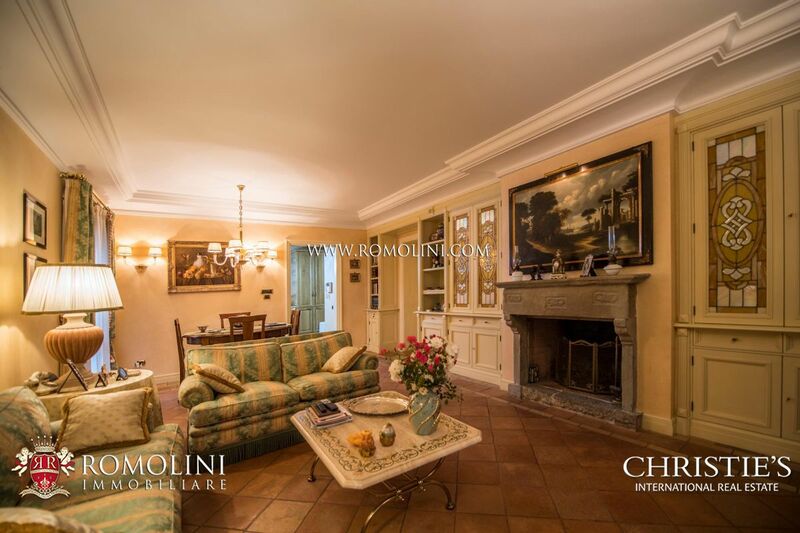 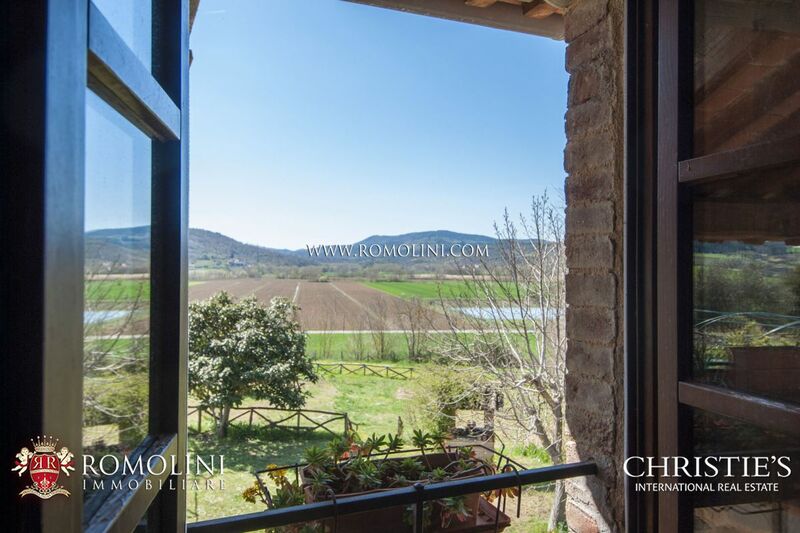 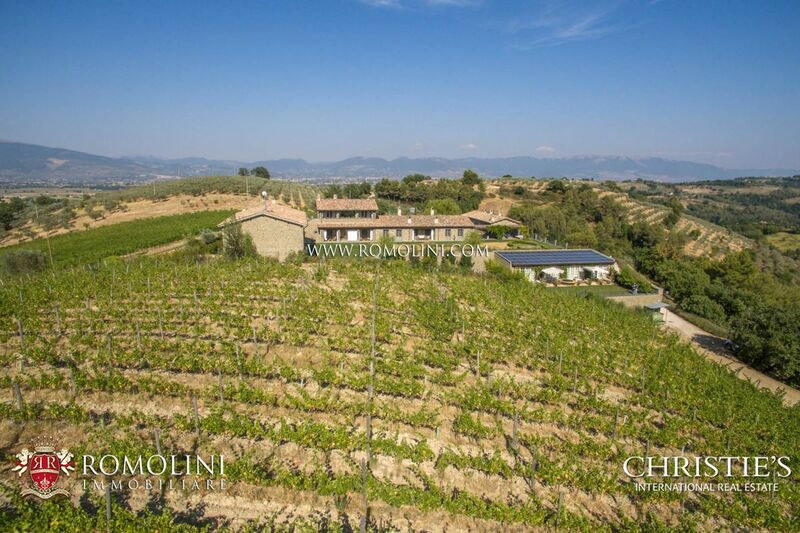 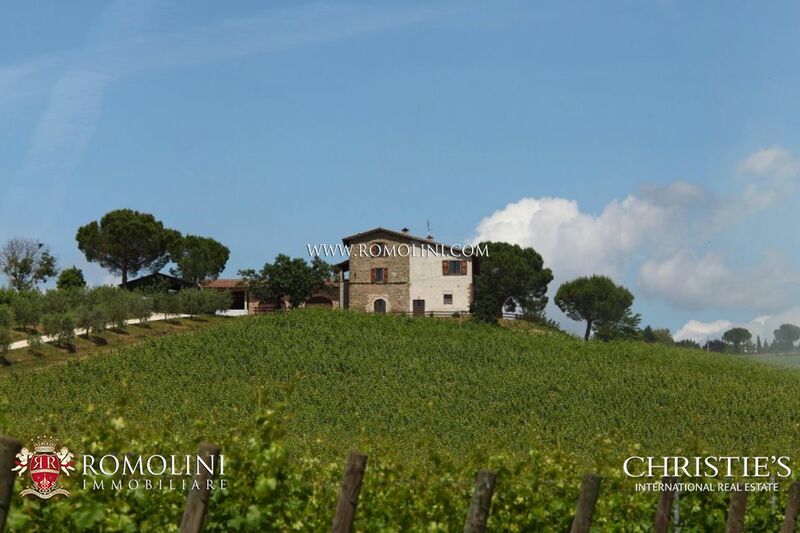 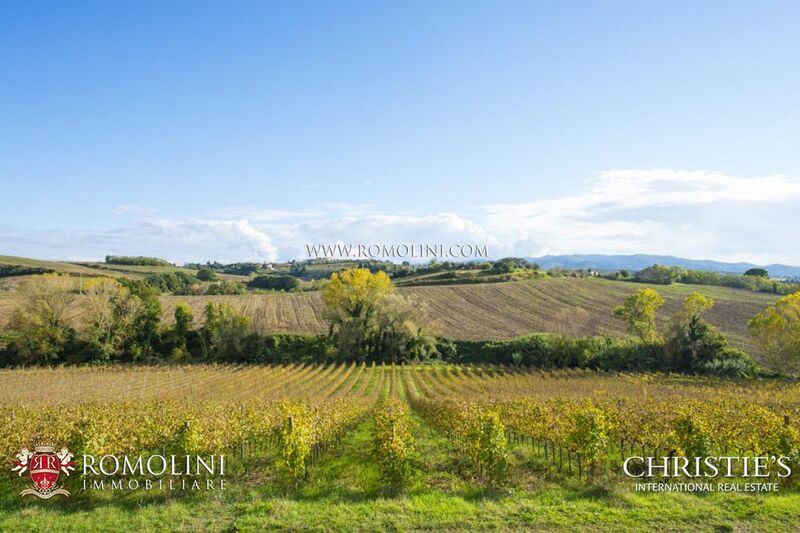 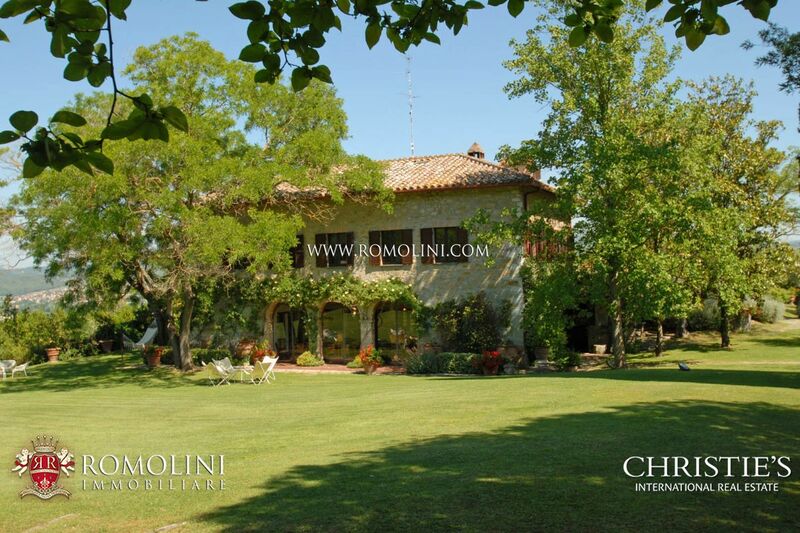 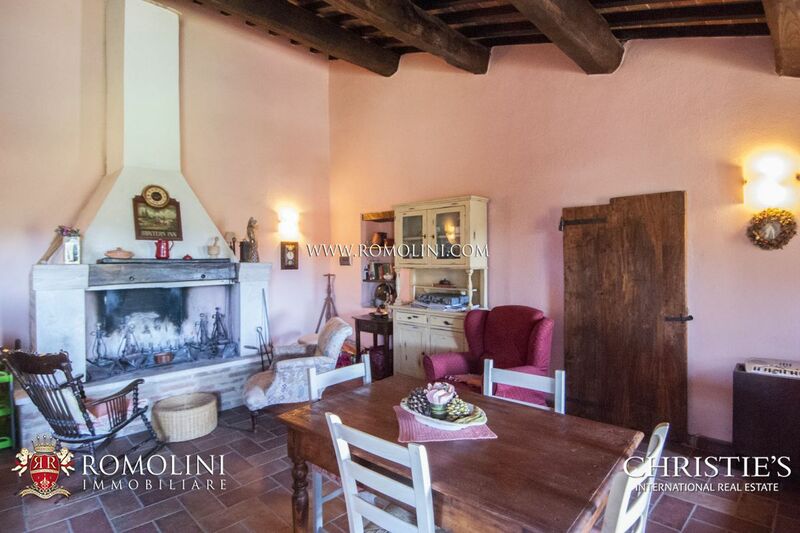 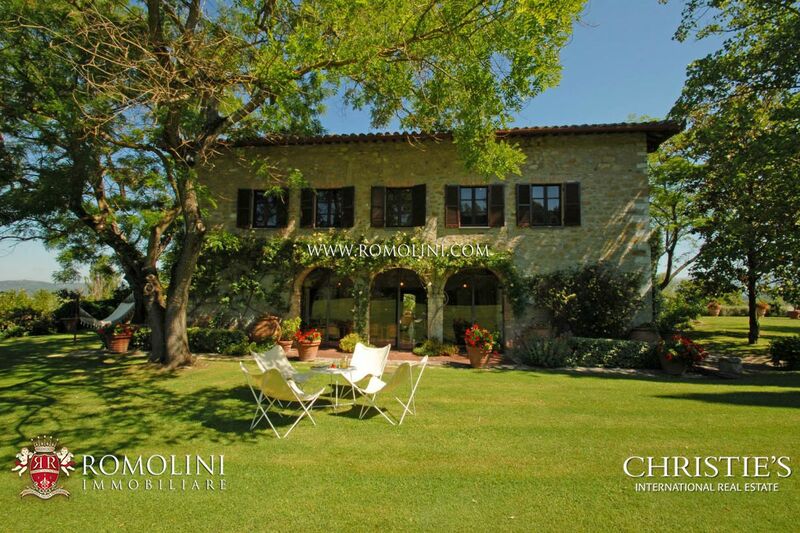 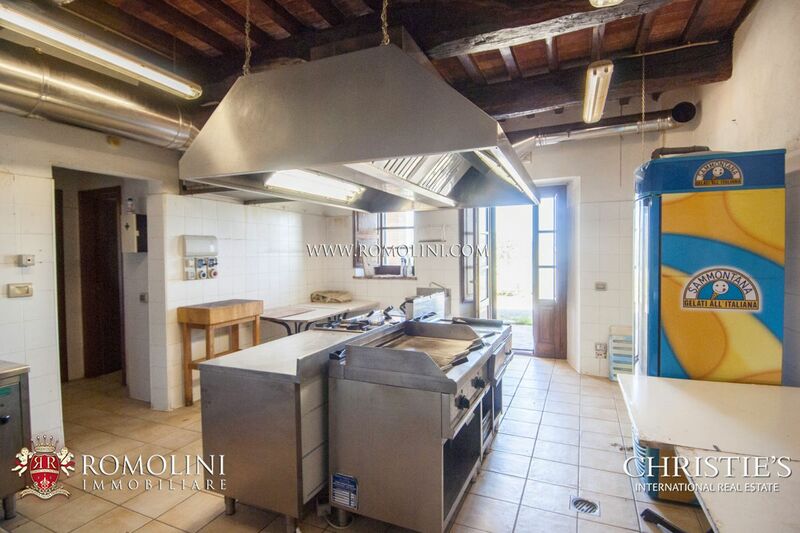 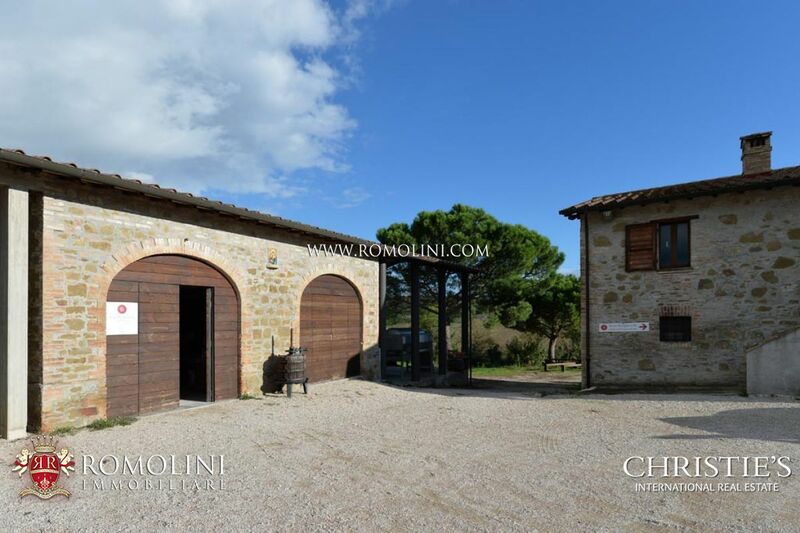 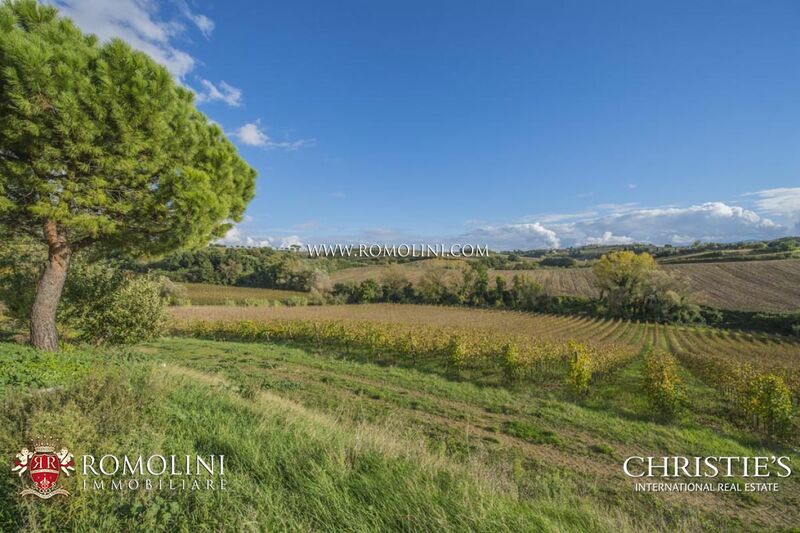 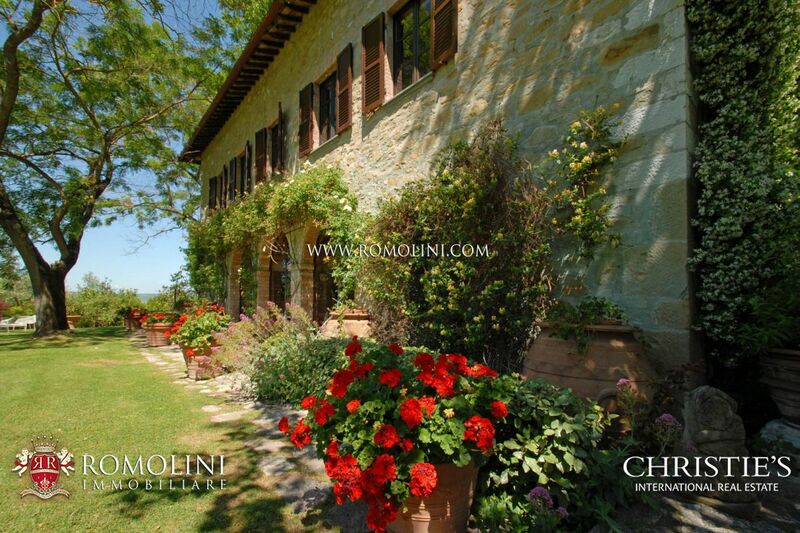 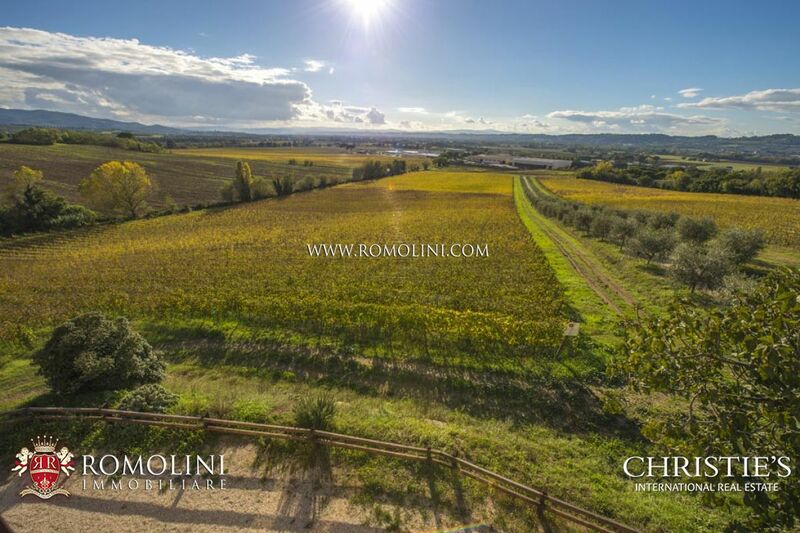 In the heart of Umbria, wine farm estate consisting of a completely renovated main house and a dependance to be restored, as well as some outbuildings. 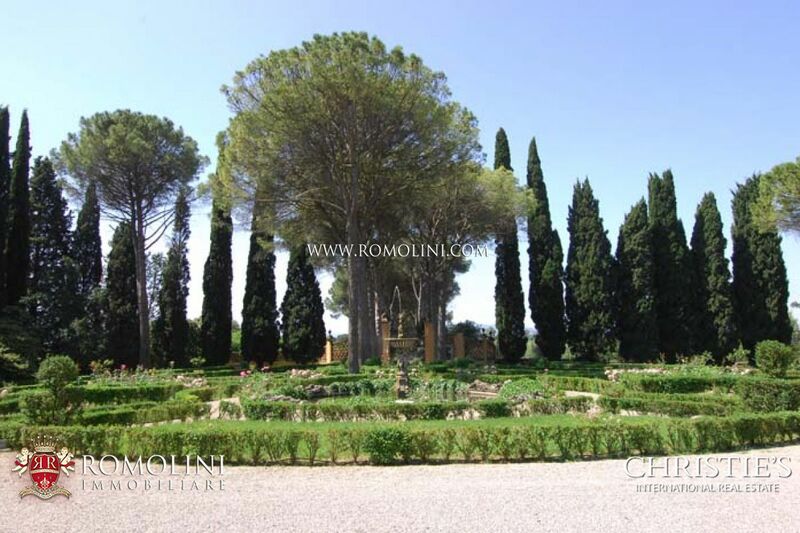 The lands included in the property extends for 64 hectares.